In other words what I’ve been busy doing in my shed. 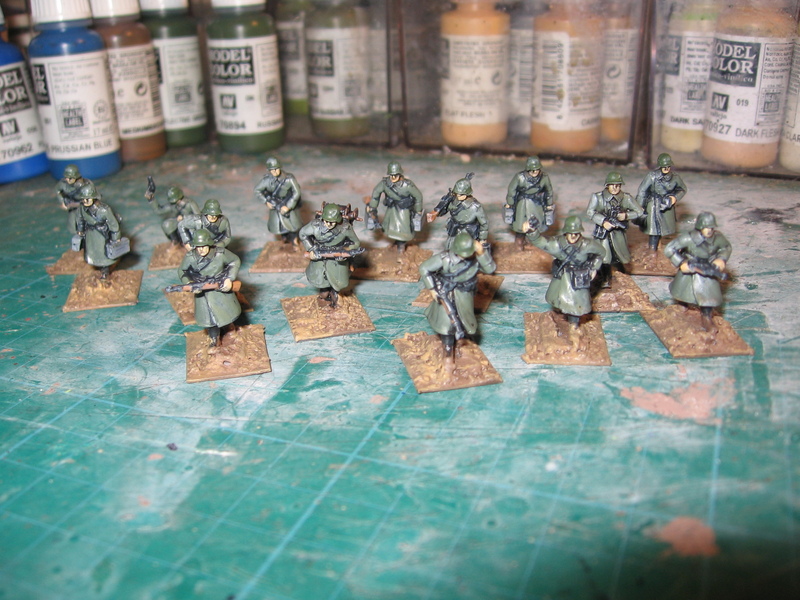 First up- a selection of 20mm Greatcoated Germans from Under Fire Miniatures. I lightly converted on by adding a telephone cable reel for a scenario I have in mind. 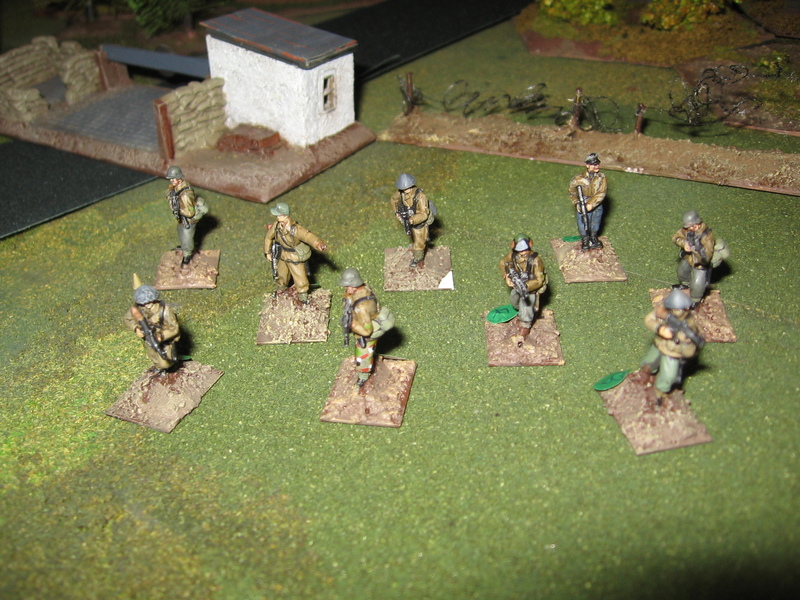 Evan has a collection of WW2 US paras and is keen to play through the 2HW campaign system ‘Blood on the Risers’, we had a quick look at the rules to see if we had everything we need to play the games. 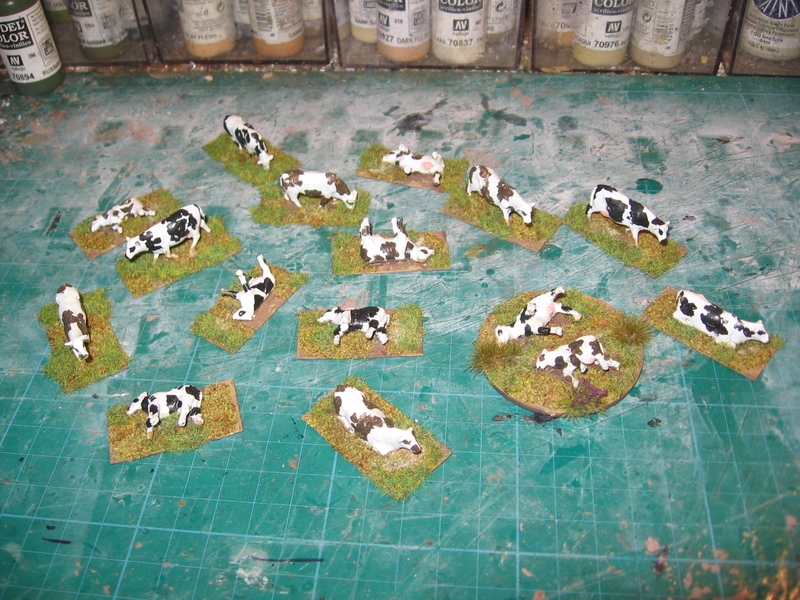 We had with just one exception- a quantity of cows both dead and alive. I volunteered to get and paint them. So far so good but with a slight misunderstanding on my part; two of each would have been ample, instead a got a small herd…. Toymaster were having a sale in town, Airfix/ Hornby kits were heavily discounted. 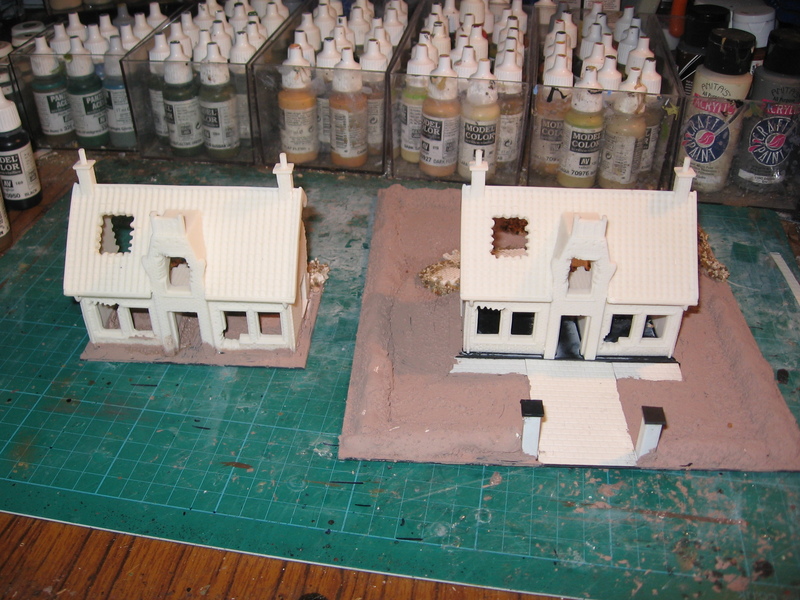 Resisting the temptation to add to me Soviet Air force I did pick up a pair of resin Dutch houses. Coming in a very dense cream resin I decided that they could do with a bit of detailing before I slapped some painting on. 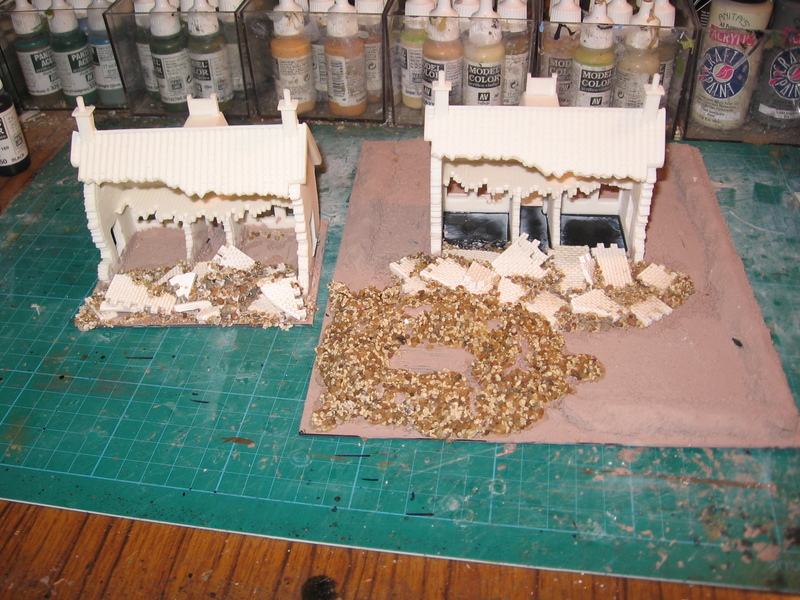 One got a small base with rubble made from spare bits of Linka and cat litter. 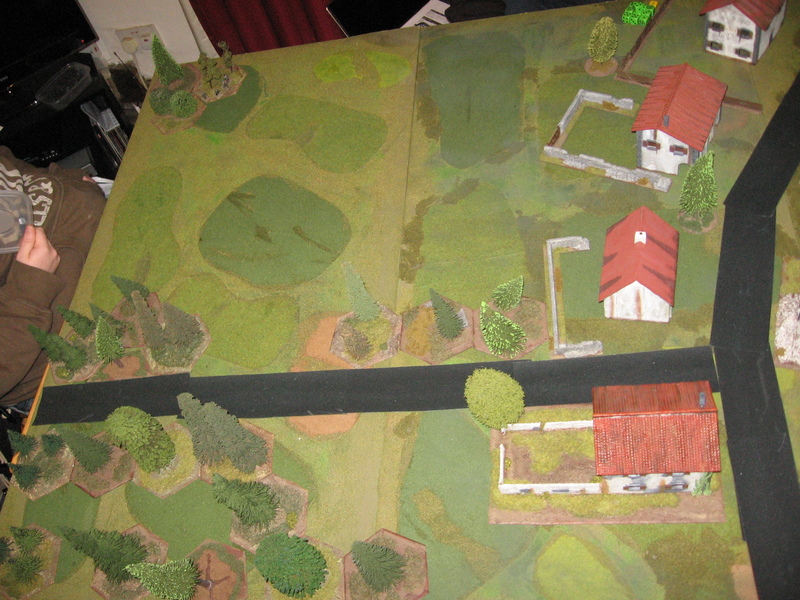 The second got a bigger base with a bank for a surrounding hedge, similar rubble and a shell crater. The fronts. Still a WIP. 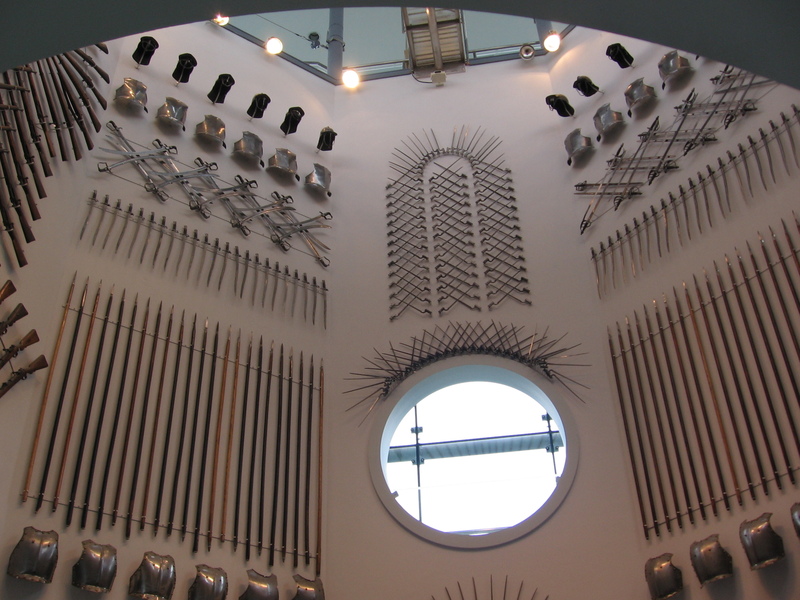 Last Friday my parents and I took my 2 oldest nephews to the Royal Armouries in Leeds. 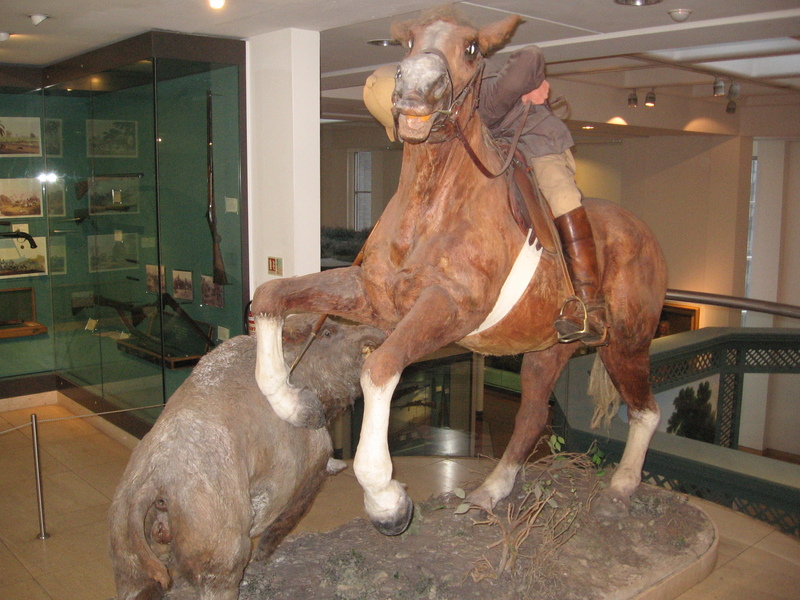 As it was half term the museum had a Wild West Theme going on. My nephews enjoyed exploring the museum trying to catch the baddies (staff dressed up), when caught they gave you a card. The card could be then traded in at reception for a sheriff’s badge. a nice idea that got the kids involved. It was of course rather busy with children and as I had my ‘Uncle Pete’ hat on it only managed to get a few snaps. Also much of the exhibits are behind glass which makes photography difficult, how ever my favourites were not. Part of the rather impressive tower of steel which a staircase winds round. 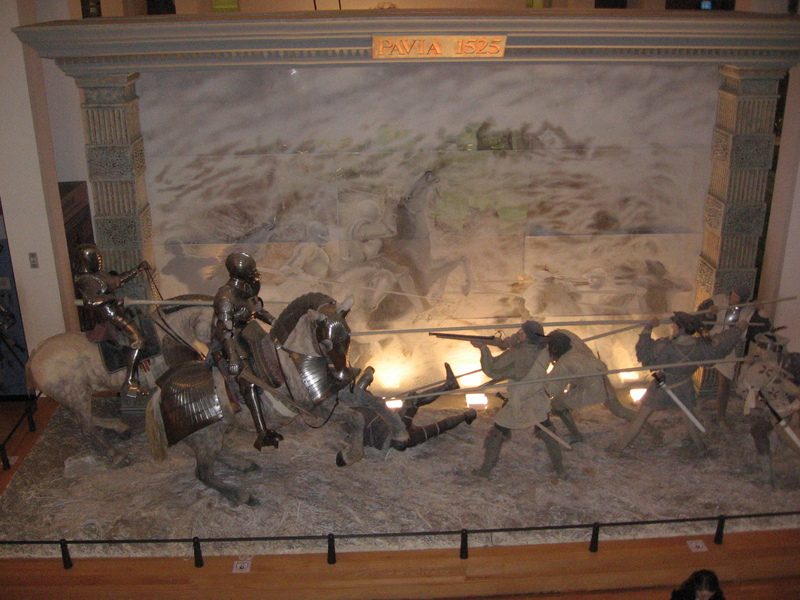 1 to 1 diorama at the entrance to the hunting gallery. 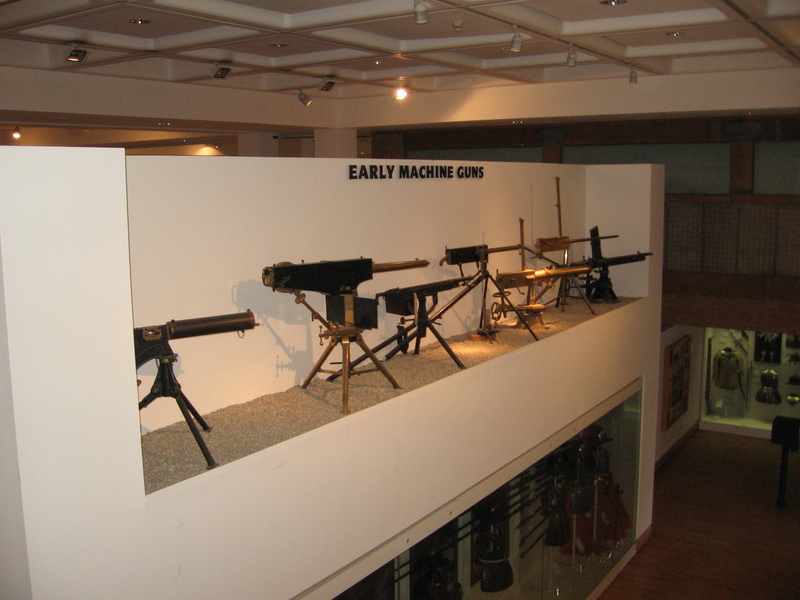 Now on to my favourites- the large collection of early machine guns, Gatlings, Nordfelts, Gardners and suchlike. 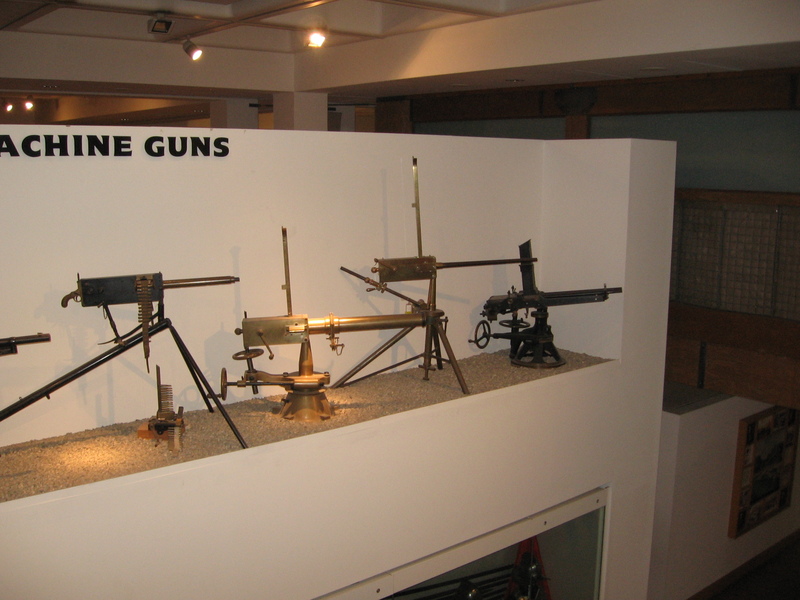 Chunks of old fashioned steel and brass but still very lethal devices. Some of you may the given at this point to draw steampunk references with these early machine guns… in a moment of synchronicity Brian/ count zero bought me a copy of the computer game ‘Guns of Icarus‘ a great fun game full of steampunk airships and early machine guns. Been spending a few hours playing on it all ready. Writing up the latest modern NUTS! game reminded me that a few years ago I met a veteran of the wars in the former Yugoslavia (and World War 2 too), so I dug out the pictures and thought I’d share them here. 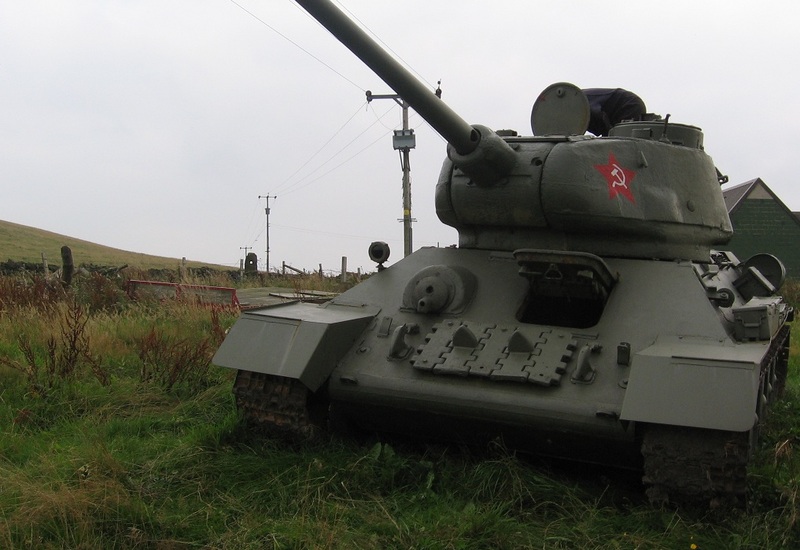 My friend Simon’s wife, Susan, her boss bought a T34/85 as a restoration project and I was fortunate to be taken up to his farm on the surrounding hills to see it. 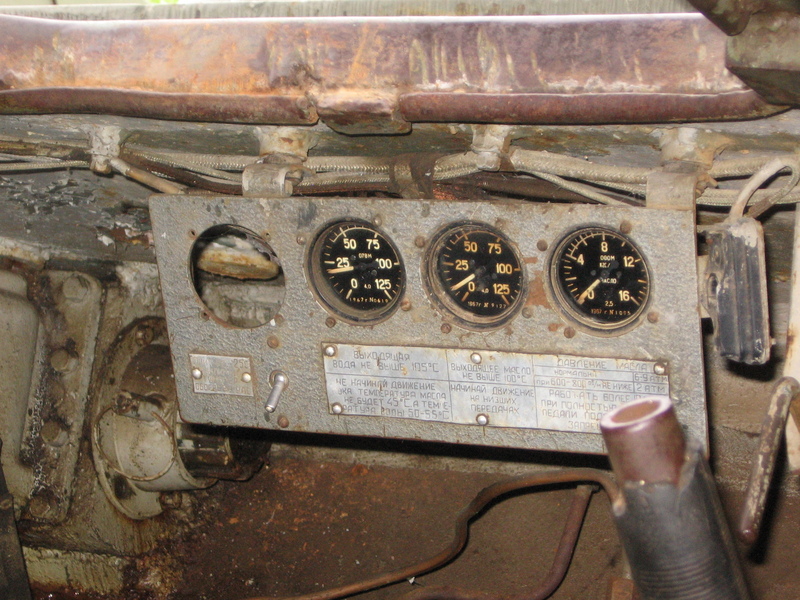 The tank chassis was built in 1944 and the turret in 1945 according to the various manufacturing markings he found. After service in WW2 it was sold to the Yugoslavians and he believes to fought on the Bosnian side in the wars there in the 1990s. It is a runner though was having gearbox trouble whilst I was there so sadly I didn’t see it on the move. Also a lot of the ‘furniture’ inside such as seats were missing, though this did me more room to move about inside it. 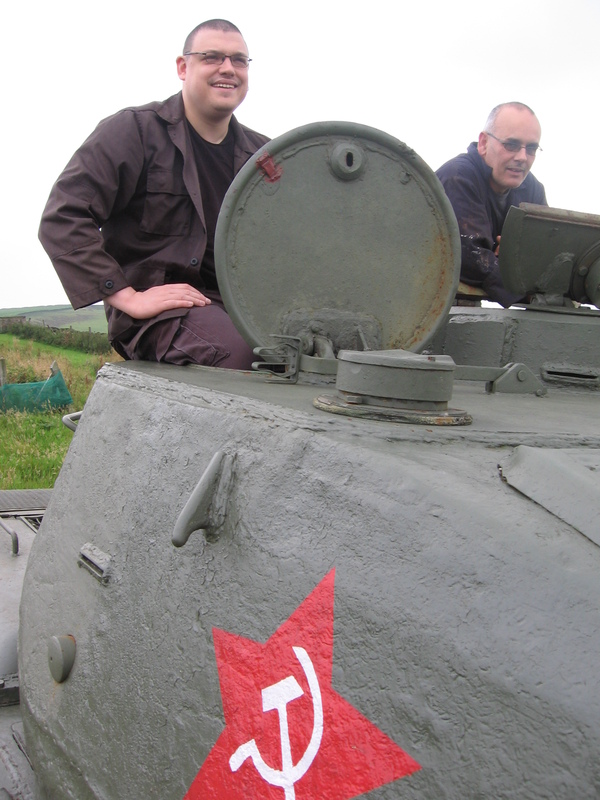 Your blogger attempting a passable tank commander impression. 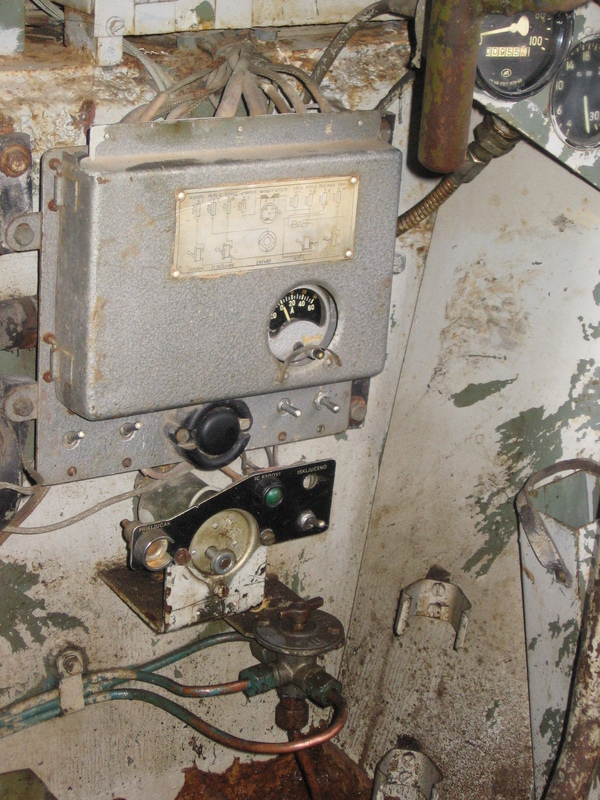 Whilst everybody know what a T34 looks like from the outside I thought I’d show you some shots I took of the interior. 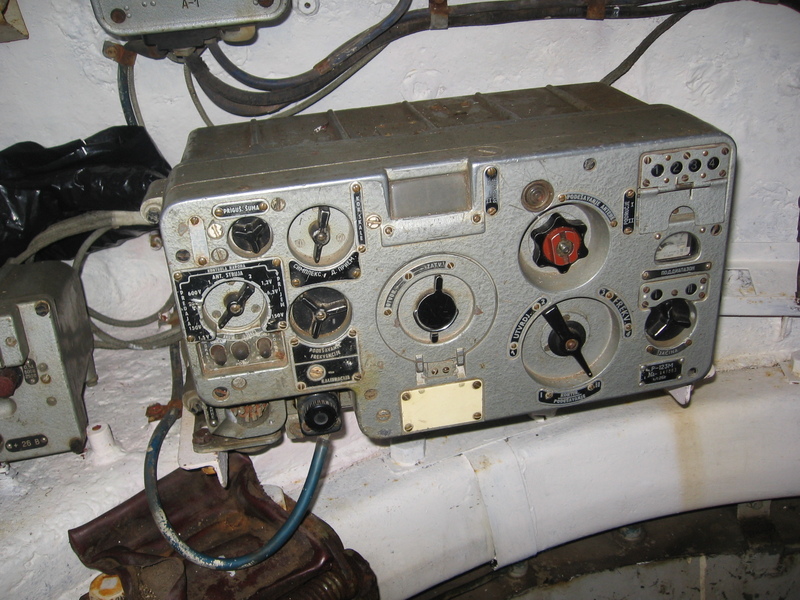 Radio in the rear of the turret. Your blogger in the driver’s position. Some more gubbins; whose exact purpose I forgotten. Two things struck me whilst I was in the tank, firstly ergonomics. 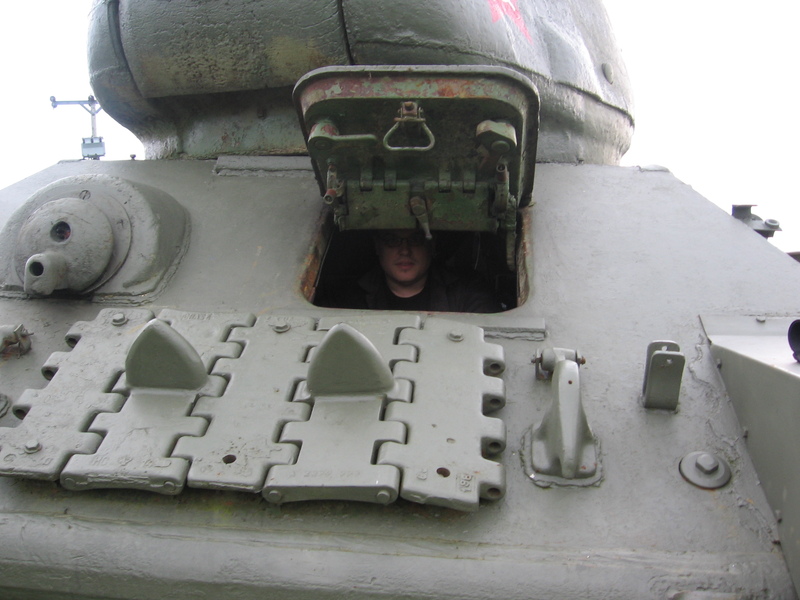 Inside is very cramped, I couldn’t stand up straight in the turret whilst standing on the floor (I’m 6 foot), with 2 other people in there and the breach at the horizontal (the barrel had been pointed skyward to give us more room) and all the ammo I doubt I would have fitted at all. I did manage to crawl under the gun and through the bow gunner’s position and into the driver’s seat without getting too oily. The bow gunner seemed to have a fair bit of room if you don’t mind having a machine gun straight in front of you, no hatches to get out of and very little view. The driver’s front hatch gives a fair view but trying to get into a position where you could look out and reach all the controls and not cripple your back by being in an awkward position was impossible for me. I know the Russians like their tankies small so hopefully it is a better fit for shorter people. Even though I’m fairly fat I could climb out the big front hatch with not too much trouble at all. 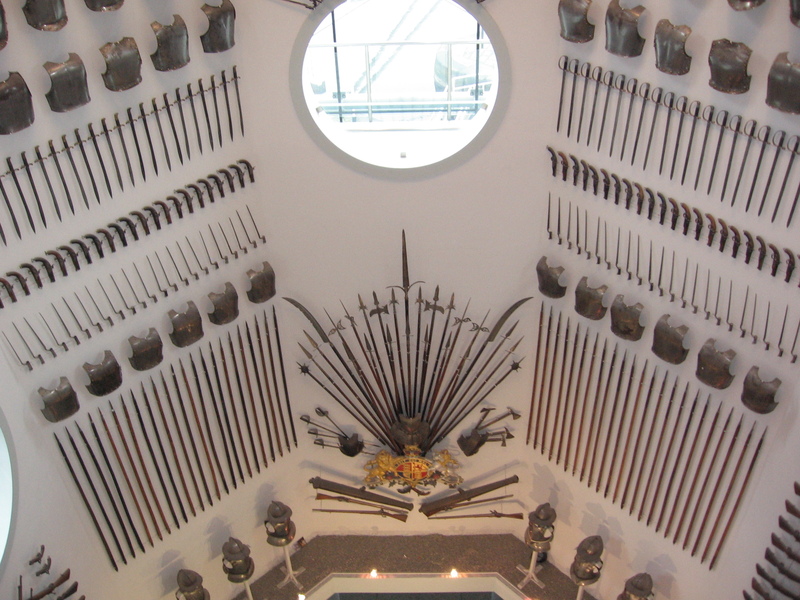 So it would be fairly easy to exit it in an emergency although you’d be exiting straight towards the enemy’s guns. Secondly vision from with in the tank is atrocious. Given that all decent wargame rule sets give a penalty for spotting from a buttoned up tank I can definitely agree with that design decision, I’d even go as far to say that they aren’t restrictive enough. 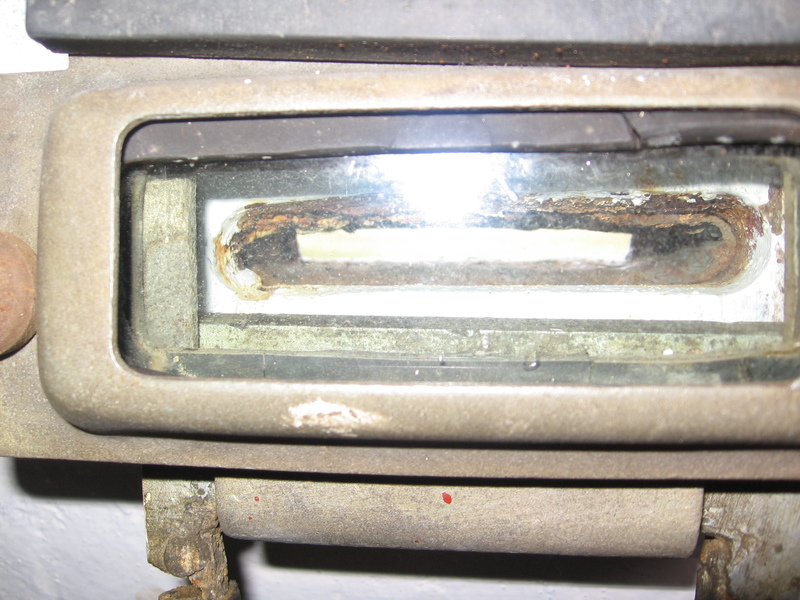 The driver, with the big hatch shot only has a single vision slit, like the one pictured above, to see out of. 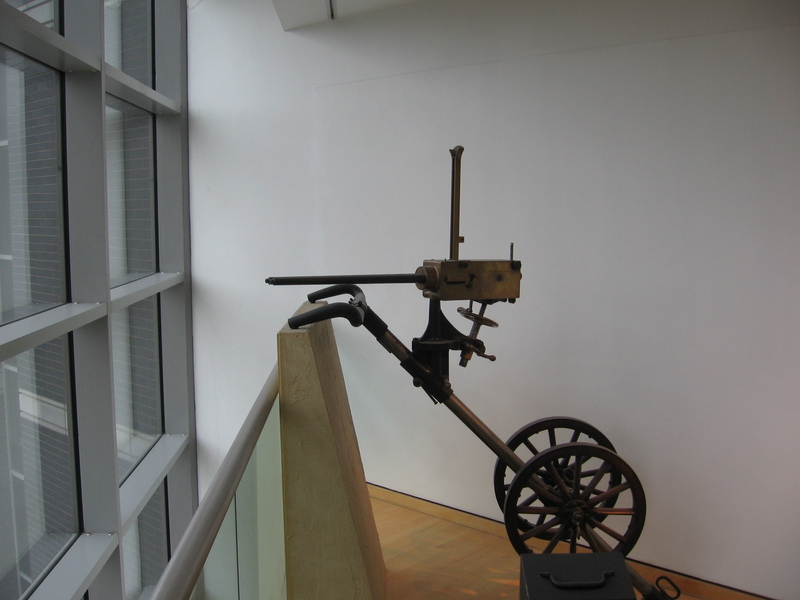 The bow gunner has one slit forward directly above the MG and on to the right, these are the only views to the outside you have in that position. 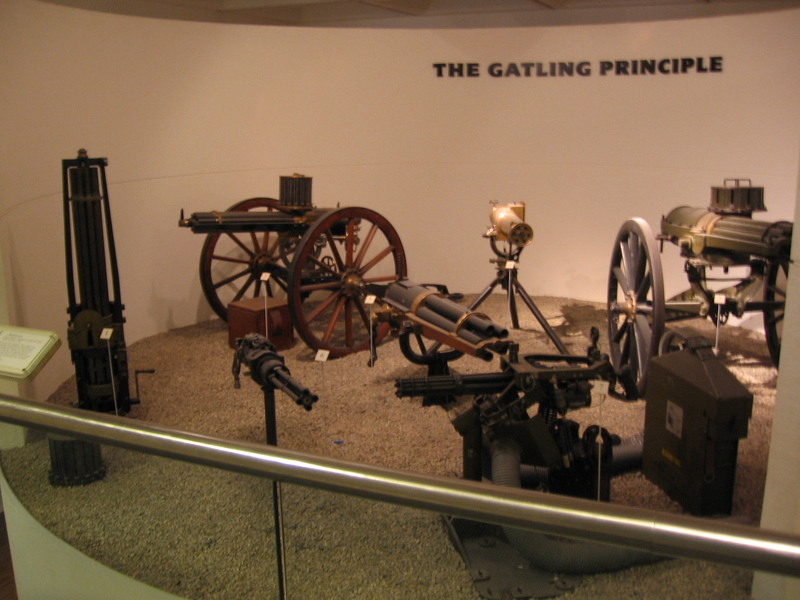 The gunner, in the left of the turret, has the telescopic sight that is also pictured above which gives a nice clear view but only where the gun is pointing. 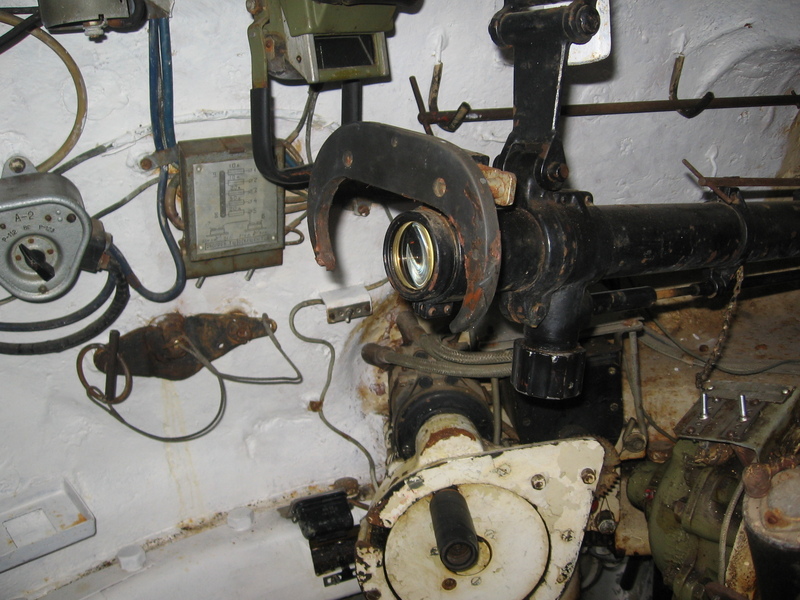 The loader, sat in the right of the turret, only has a single vision slit in the right of the turret to see out of. The commander, who sits behind the gunner, does get a cupola with multiple vision slits and a periscope with a 360 degree view. In combat you really need your commander to be able to spot threats soon, especially infantry as once you get in close there are many blind spots that in close terrain the enemy could exploit. Getting to crawl all over a real WW2 veteran was a real treat. Also very eye opening, given the discomfort, lack of vision and claustrophobia you have when everything is closed up. 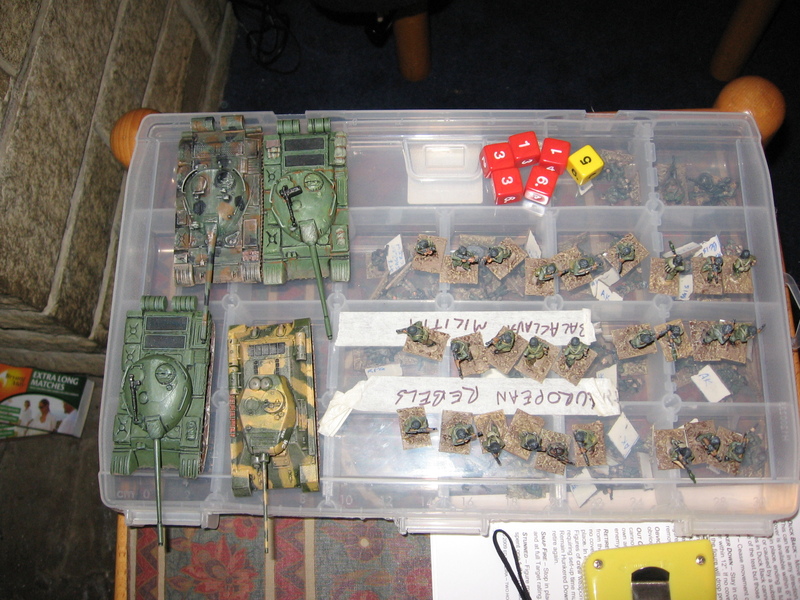 I hope my picture and commentary are useful to you, certainly gave me something to think about whilst I was pushing my model tanks around the next game I had. As part of my continuing playtesting of my modern vehicle stats a week ago Monday I ran a small game for the usual guys set in the break up of Yugoslavia in the 1990s. Some may consider the war a controversial and distasteful subject for gaming, if any offence is taken I apologise. 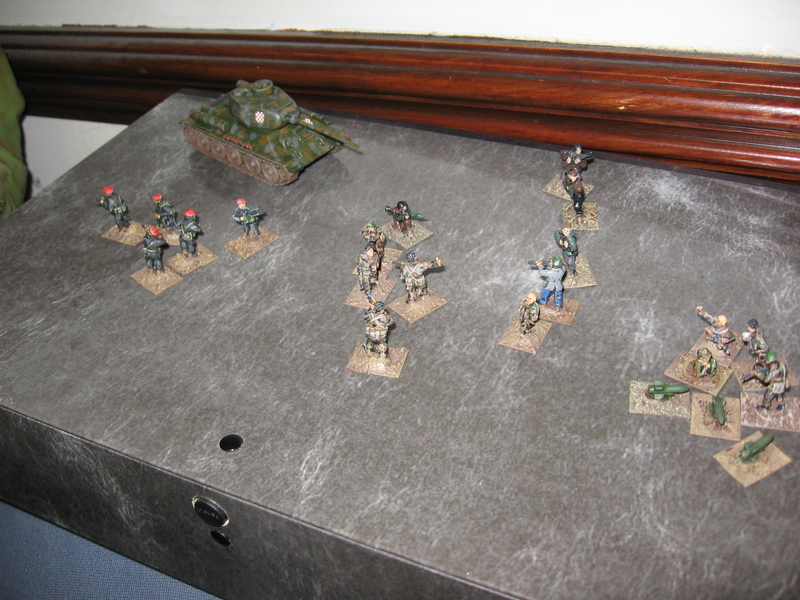 I got the rather nice decal sheet from Bison which featured a selection of AFVs from the period a while back and have made a few up, so it was nice to get them on the table. After a quick history lesson for Chris (he was only a toddler when the war occurred) whilst I set up the board we were ready to play. 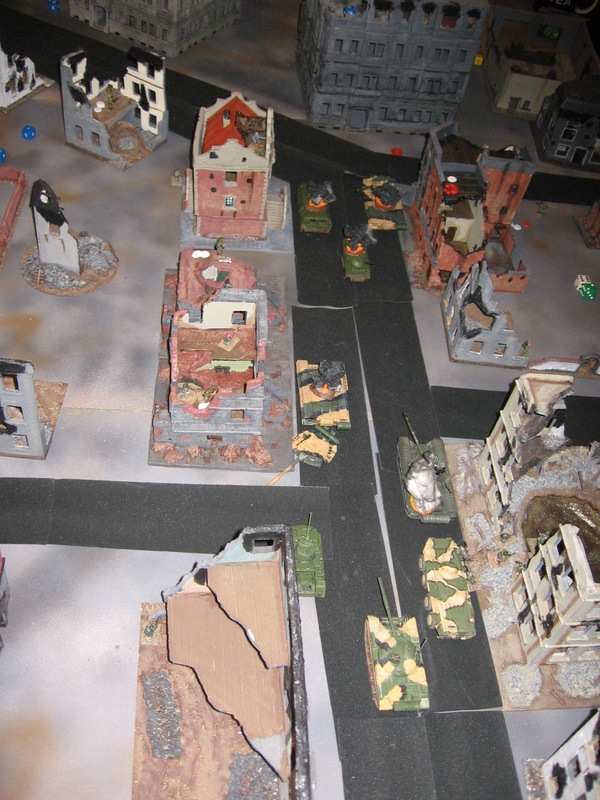 Chris and Brian played the attacking Serbs; Brian had control of 3 T54s and a T34/85, Chris had a platoon’s worth of infantry and a HMG to play with. 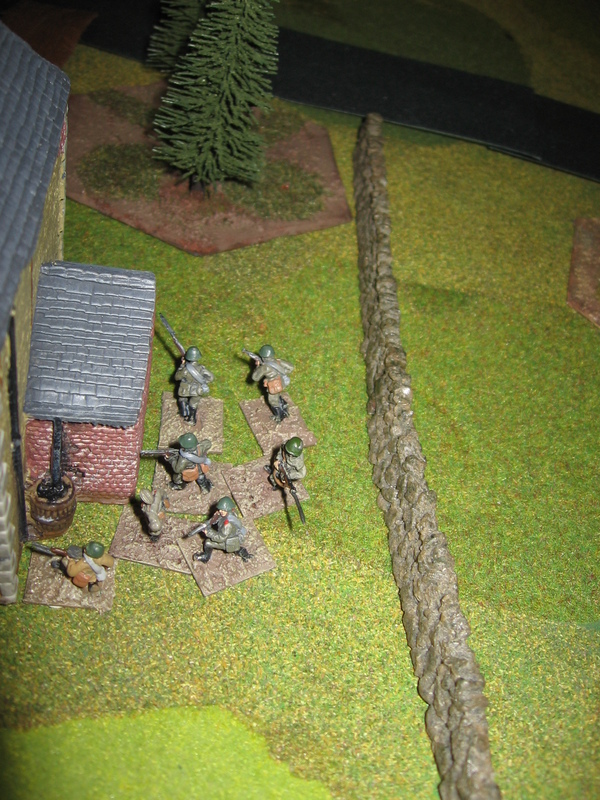 The HMG was fixed in place for the duration of the game and was there to provide suppressing fire on to the edge of the village. Evan defended as the Croats with a mixed force consisting of 3 infantry groups, a Sagger ATGM team with T34/85 coming on as a reinforcement. 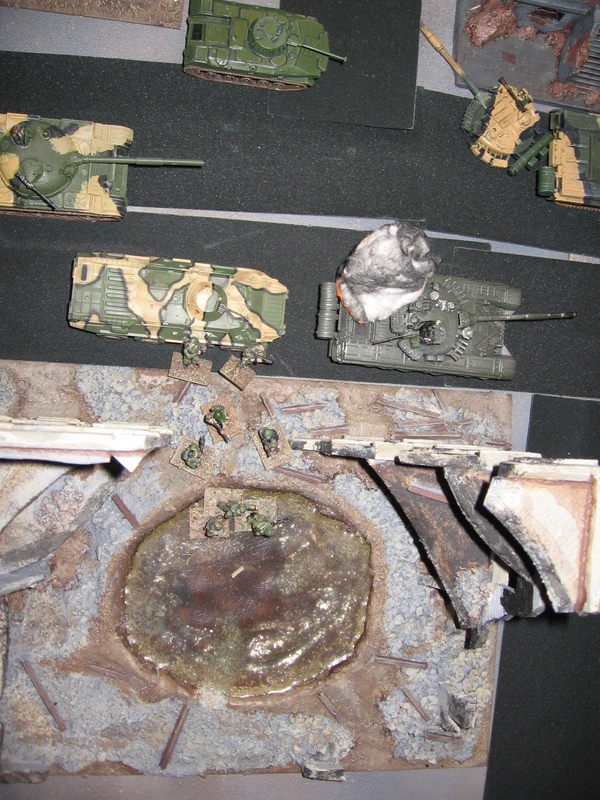 Again all scenery and kit was from my collection. 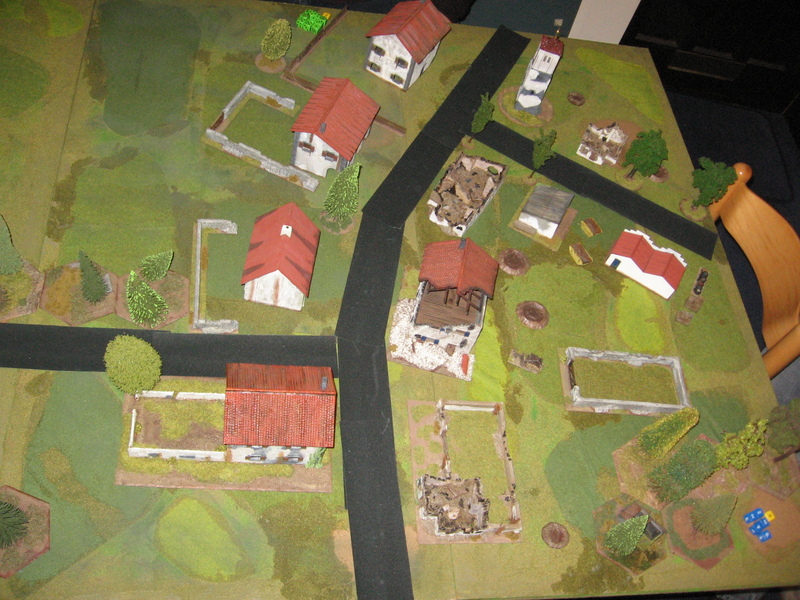 The Croat village Evan had to defend. 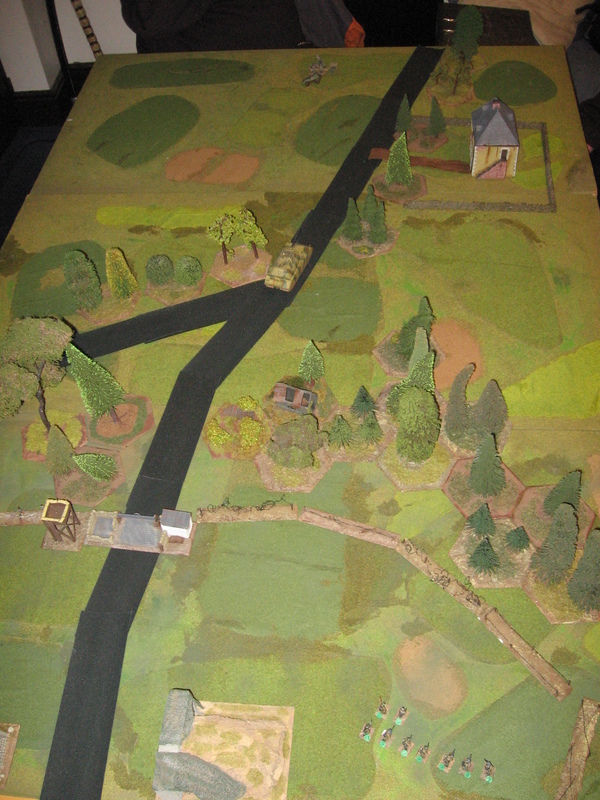 The left had edges of the 3 houses above the road were the ones that were covered by HMG fire. The Serb entry edge. 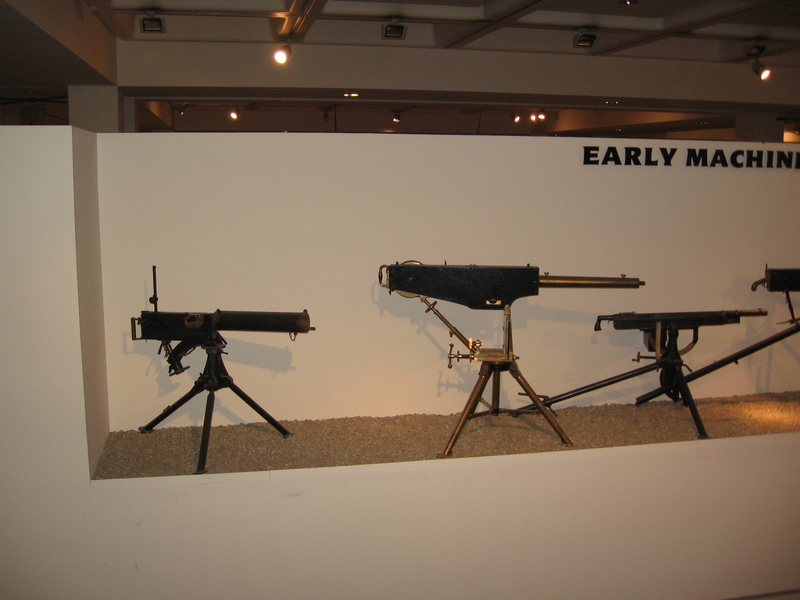 Note the HMG at the edge of the uppermost wood. 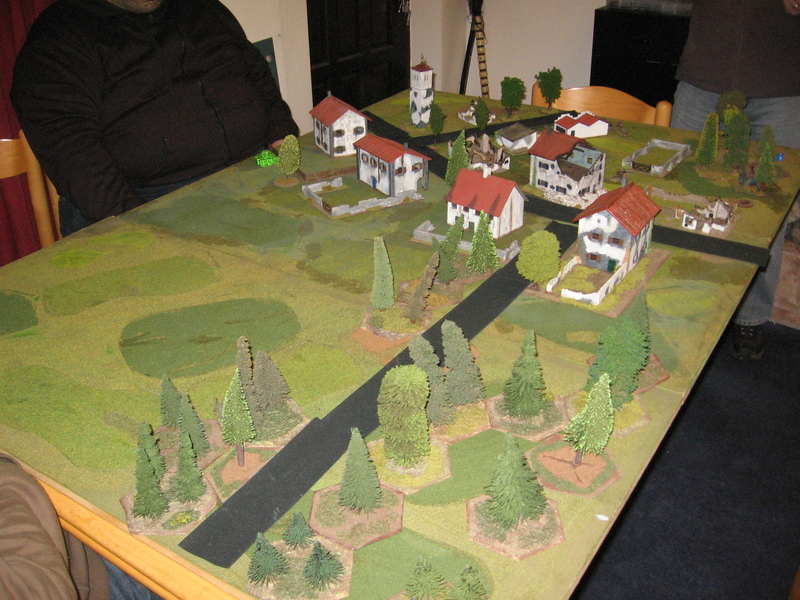 General view of the game board. The Croats. The guys in black with red berets are the HOS, a right wing militia, not UNIT from Doctor Who. Sagger team in position- controlling multiple missiles. 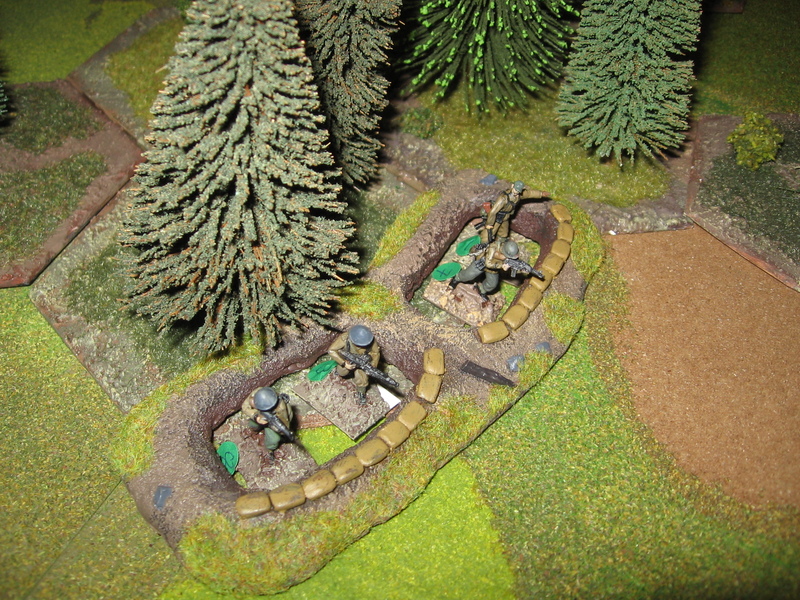 Serb infantry push forward through the woods. 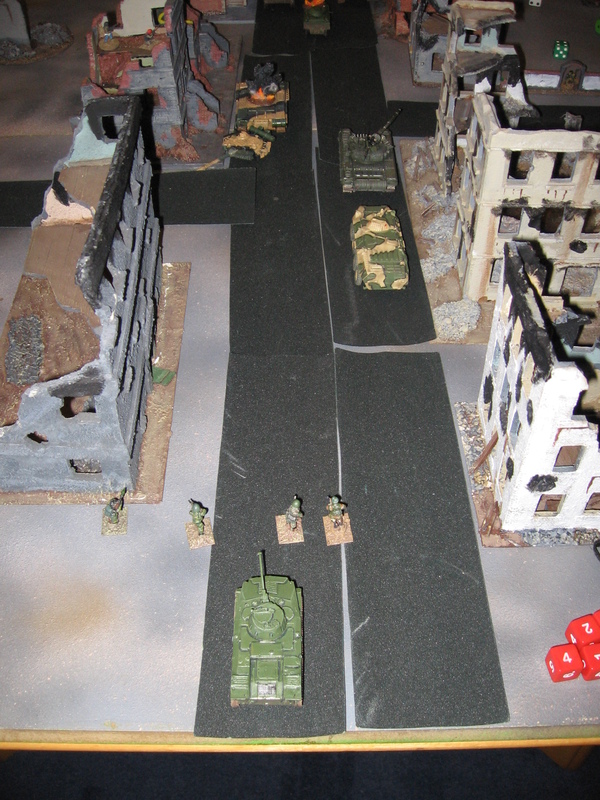 The Serbs advance, the T54s go forward across the open ground whilst the T34 follows behind the infantry. 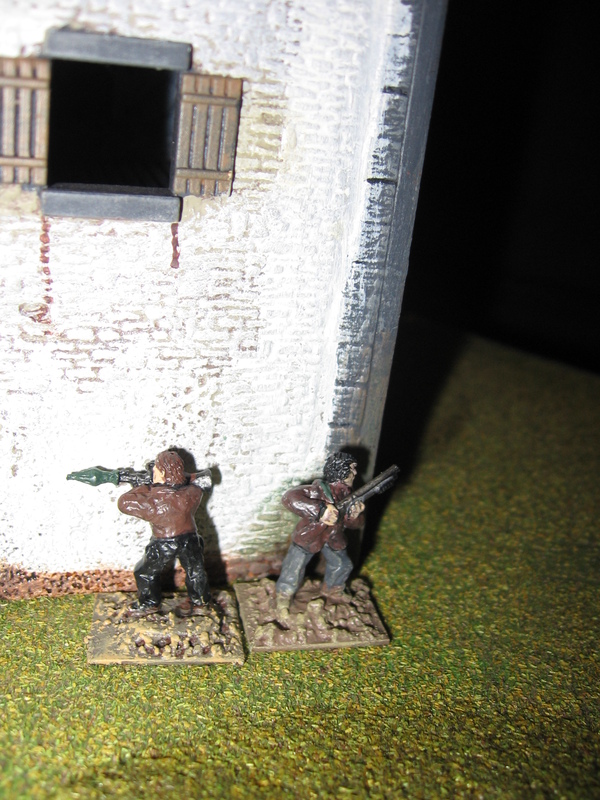 The Serbs reach the edge of the village and engage with HOS and the Sagger team, killing or routing all of them. 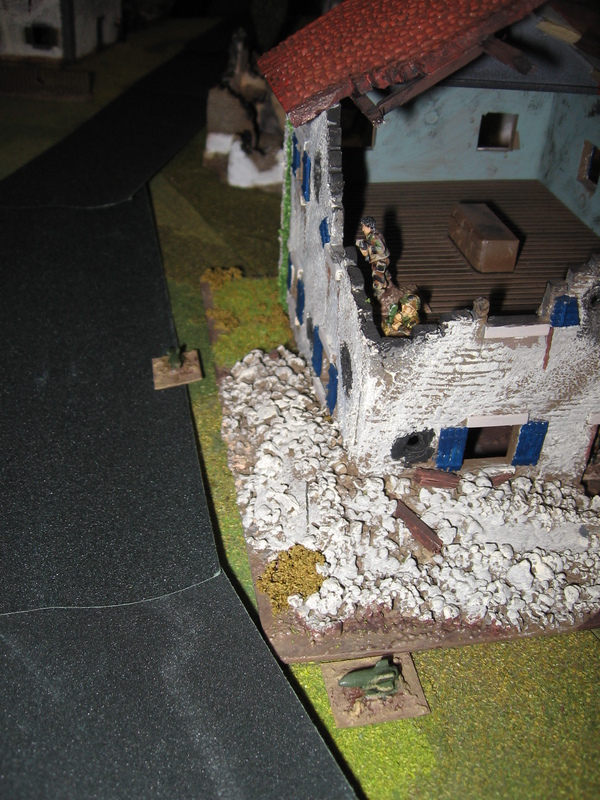 The remnants of the HOS, try to stop Chris’ Serbs getting a foot hold in the village. One of Evan’s tank hunting teams waits in his second line of defence. 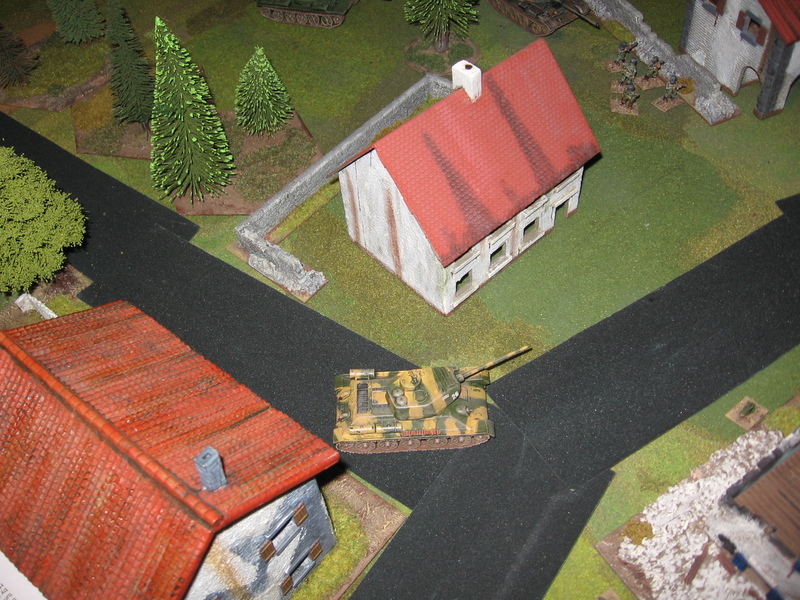 Brian’s T34 enters the village, just as the Croat’s own armour is moving up. Croat T34/85 moves up into position. Chris rather hastily moves his infantry forward to take ground, however massed infantry against the bow and coax of the T34/85 ended badly. 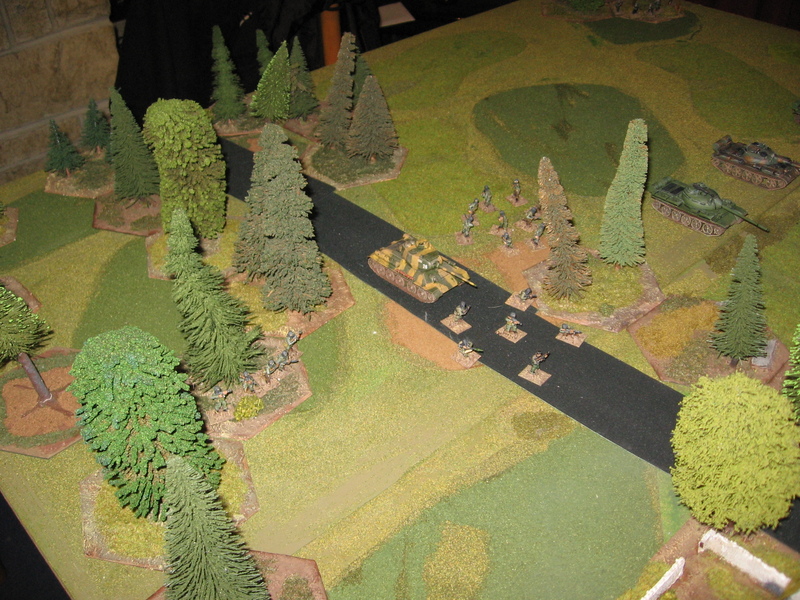 At this point the Serb T34/85 took out a complete squad of Evan’s with HE fire. Though it may be old a T34 can still be effective. Evan’s only chance of the game to take it out with an RPG ended in failure when he missed. The T54s didn’t play much of a part in the game being understandably nervous to push forward with out infantry support. With all of his infantry either at half strength of below and no hope of pushing the Serbs out Evan conceded. The game went fairly well. Infantry tank cooperation on the Serbs part proved it’s worth. Evan was badly let down by the Sagger ATGM, not that he even got to fire it. Given the ground scale of NUTS! we didn’t feel ATGMs have much of a place in a game. With long minimum ranges they don’t really fit on a standard 6 foot by 4 foot table. 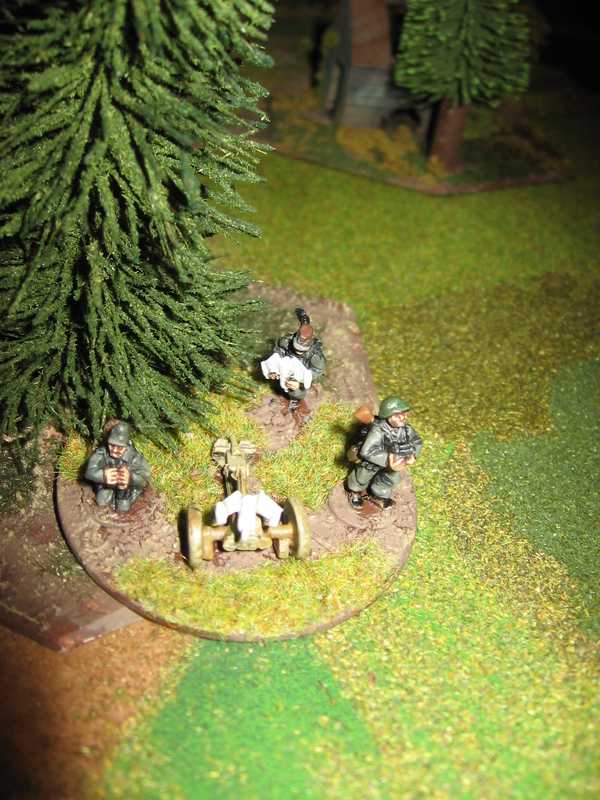 If position to fire in this game they would have had to be put under the bullets of the HMG and shot at the T54s as soon as they entered the table. With luck it would have taken one out but would have been destroyed by return fire by the other two. Remember the fate of the X7 from the previous Peenemunde game..? One way round this which thought would be worth of playtesting would be to allow the defender to have a limited number of off table shots from a ATGM positioned further back. Something for a future game I feel. We also spent a considerable time of the evening brainstorming a house rule to allow the defender to set up some impromptu ambushes. More on this when the idea has been playtested. Battle of Grozny- 1995. AAR. Part 2. The table as seen from the Russian entry point. They were to follow the road up the table and then to the left. 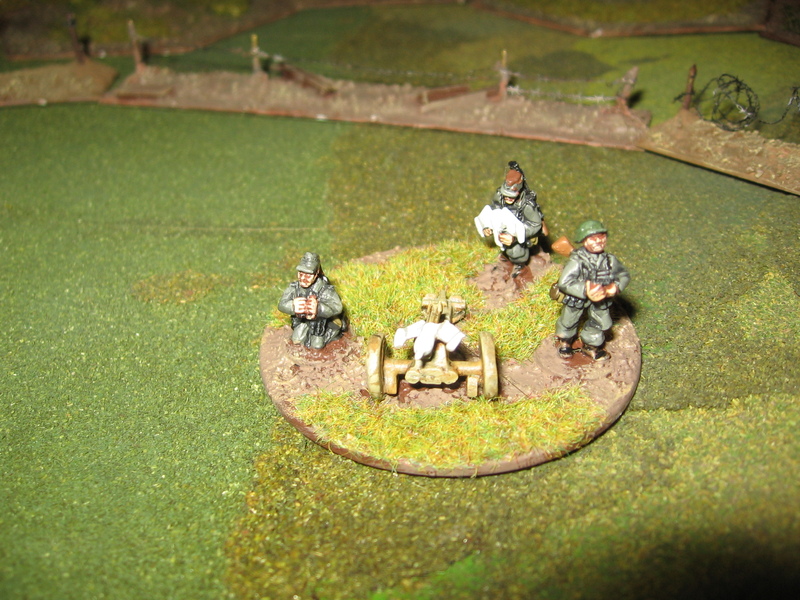 From the Chechen positions just before play. Behind the large ruined building you can see the jeep full of reloads. 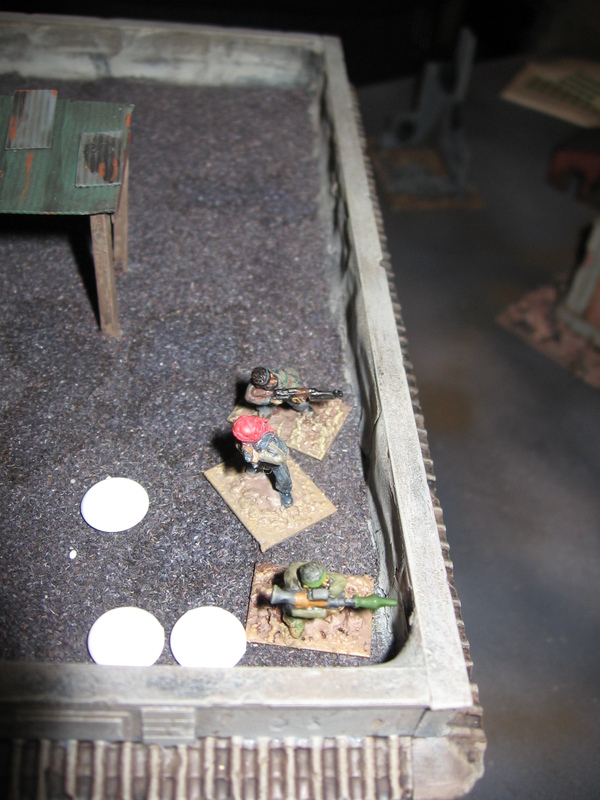 RPG team in position on a roof top to fire down on the weaker top armour of the AFVs. The tiddlewinks represent RPG warheads. One of Brian’s RPG teams. The orange marker indicates an improved warhead type. Evan’s teams cover the road. 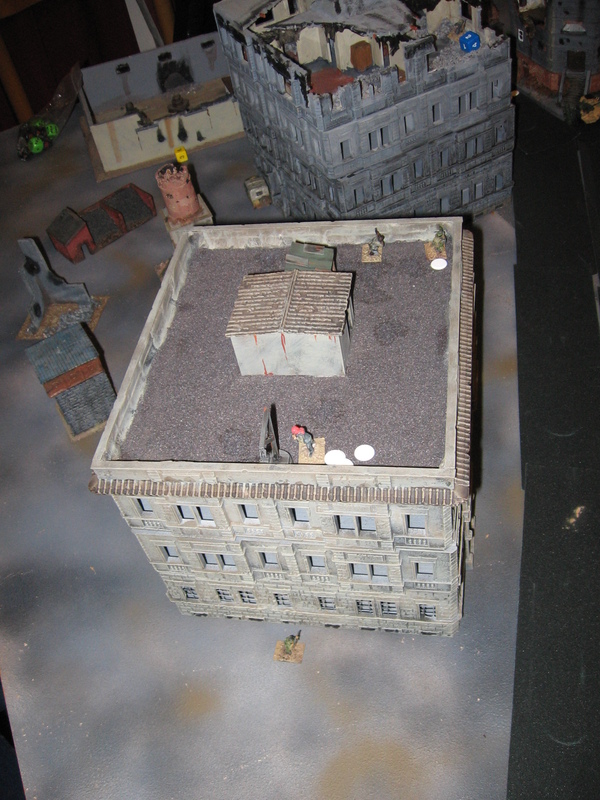 Chris’ RPG team in position on a roof top to fire down on the weaker top armour of the AFVs. The tiddlewinks represent RPG warheads. 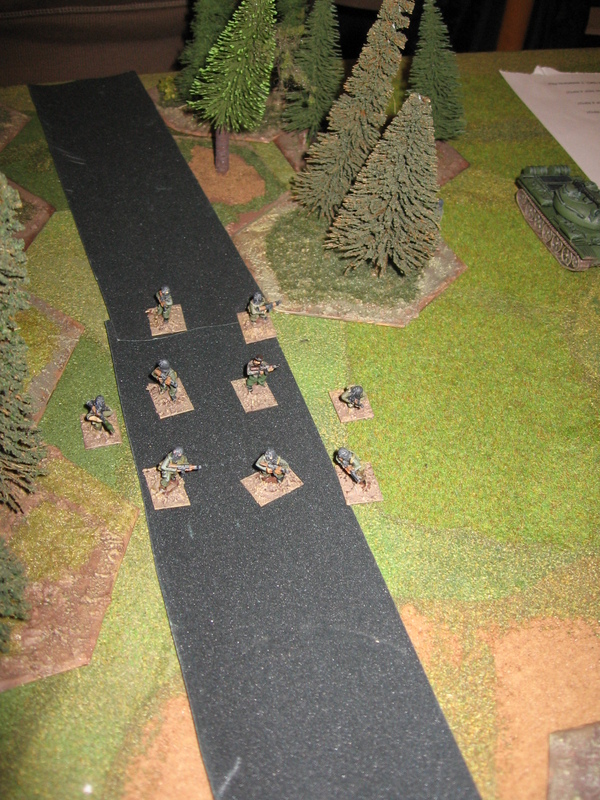 The first Russian units enter the board. 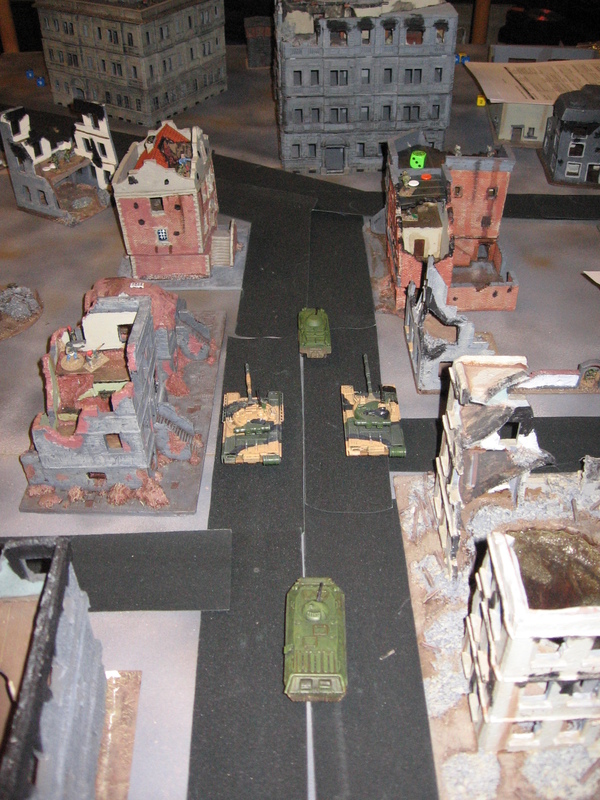 BRDM2 in the from followed by two T80s with a BTR70 bringing up the rear. The BRDM2 fell to an RPG but then Brian’s Chechen was killed by follow up fire. The BTR and T80 push forward, you ccan see in the top right the remains of the RPG gunner- Brian did however manage to recover the RPG. 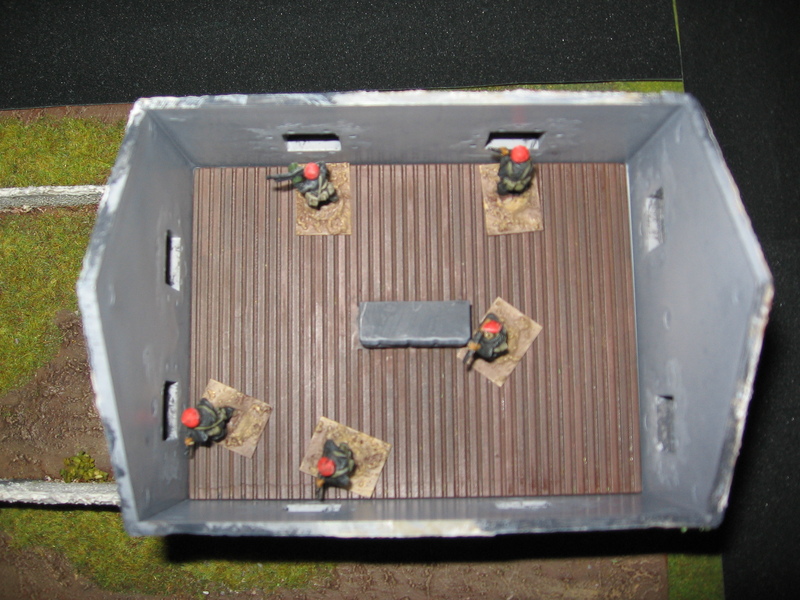 The BMD2 arrives on table with a dismounted section arrive on the table, MG fire quickly makes them seek cover in the building to the left. Evan’s teams bear the brunt of the Russian return fire. Fortunately the worst result is only a stunned. The state of the street by turn 5. Firing on to the tops of Tank armour is the most effective way to destroy them. Also the tank’s barrel is unable to elevate high enough to return fire. Same scene from the other side of the table. The road is beginning to get very clogged with burning vehicles. 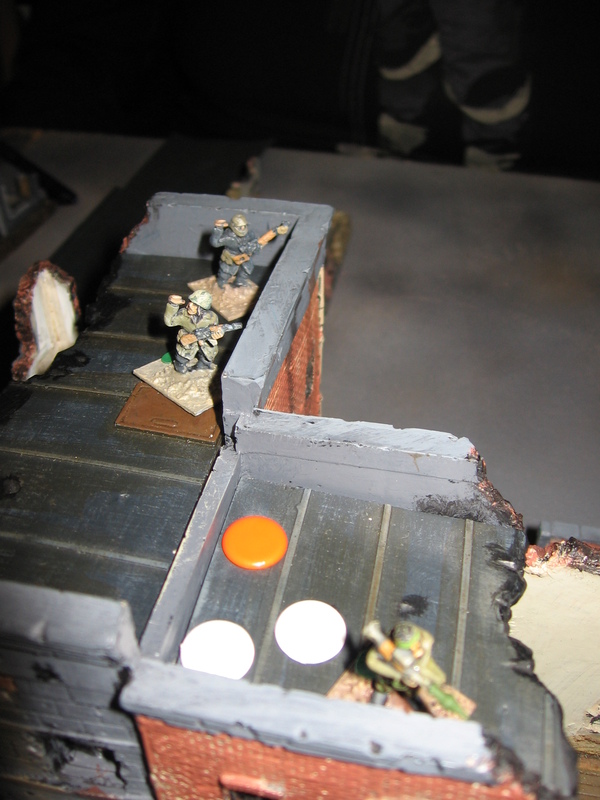 A rifle squad exits a BTR80 to try and clear some of the Chechens from the ruins. 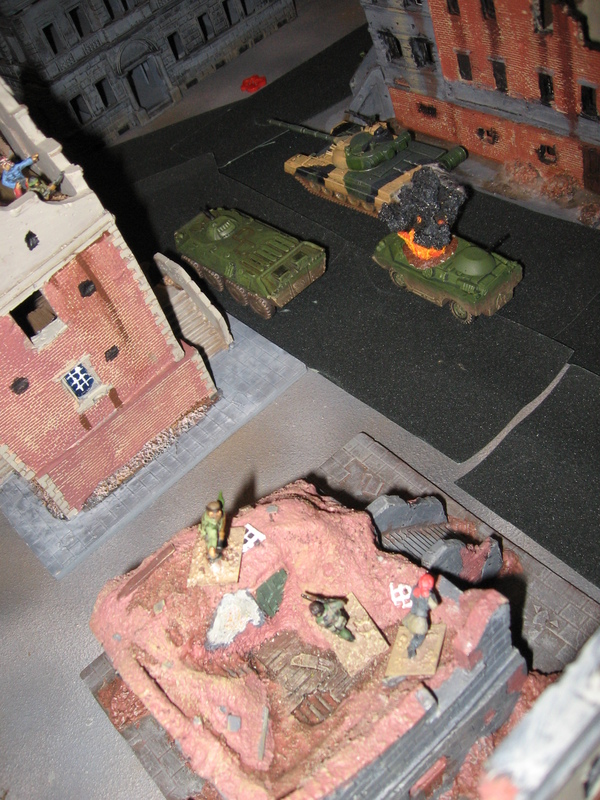 They quickly become pinned down in a withering MG crossfire and begin to take casualties. The ever industrious Chris works out he can use the pulley to shuttle RPG warheads up to the top floor. Beats running up all those flights of stairs. The road is getting blocked, the Russians need to find a new way forward. 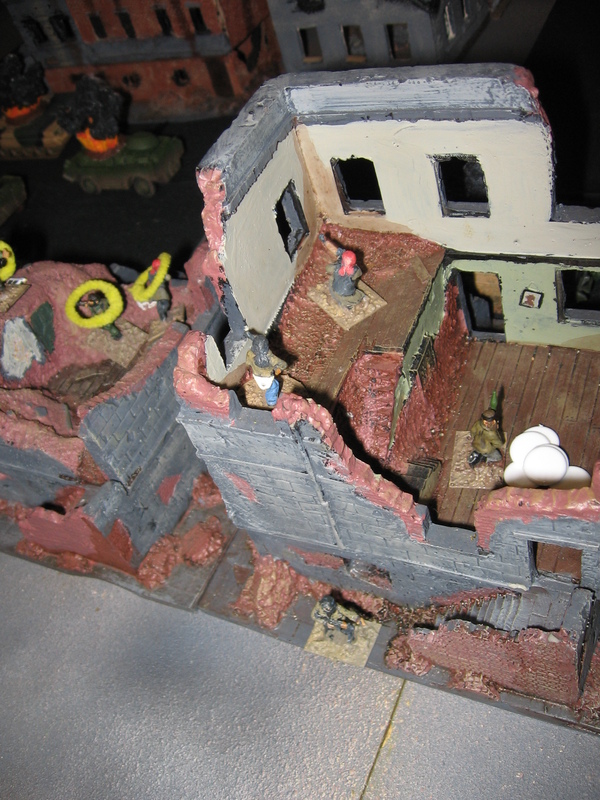 Another BRDM2 tries to lead a T80 and BMP2 through the ruined buildings but they all fall, like those that went previously, to massed RPG fire into their top decks. At this point with road truly clogged and time drawing on we decided to call the game. Brian proved to be the best Chechen commander taking out the most vehicles and men, partly due to positioning well forward. The vehicle stats seemed to work well. A few adjustments need to be made. Like keeping over penetration in for RPGs/HEAT rounds, they are simply destructive otherwise. More faults will be ironed out in due course when we have more tank v. tank games. 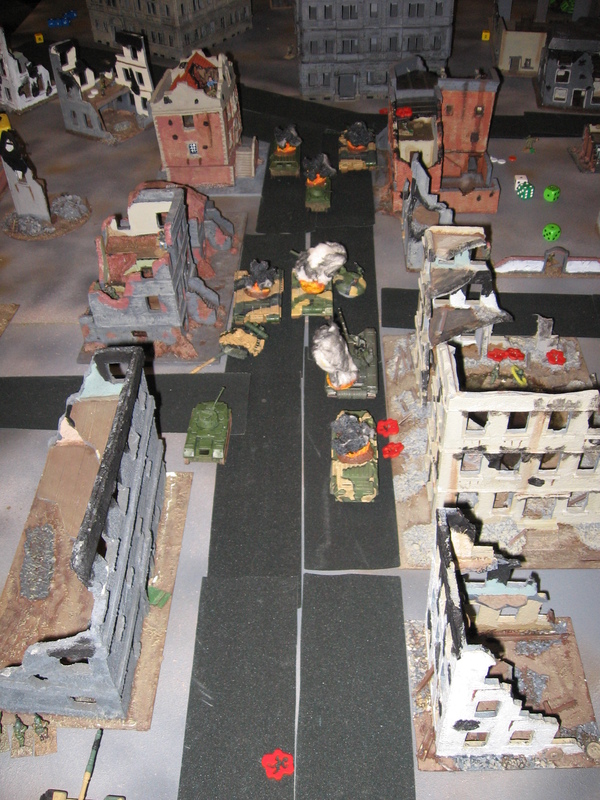 I thought that the game also worked pretty well as a (very) rough representation of the attack into Grozny. 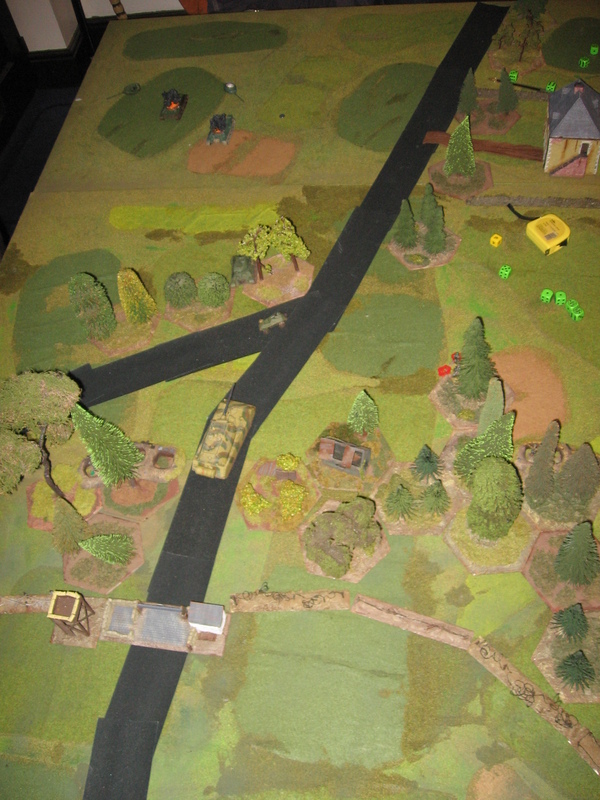 What worked in real life, massed RPG fire and shooting onto the top decks of vehicles, worked well here. The low quality of the Russian troops and a lack of coordination didn’t help them either. All figures and vehicles were from my collection: Under Fire Miniatures, Liberation and S7S for the figures, Liberation, S&S as well as Revell plastics and die cast for the AFVs. Battle of Grozny- 1995. AAR. Part 1. As I mention in my holiday post I’ve been working on some stats for post WW2 vehicles for the 2 Hour Wargames rules to allow us to play NUTS! games set from 1945 to the modern day. It took a fair while to get a basic stats list but once I had a workable list I wanted to play test them. So last Monday’s game was the first test…. One of my long time interests is in Russian military history as well as counter insurgency/ asymmetrical warfare, accordingly I decided to put the 2 together and run a game set in Chechnya; loosely based on the rather disastrous Russian attack into Grozny in 1995. 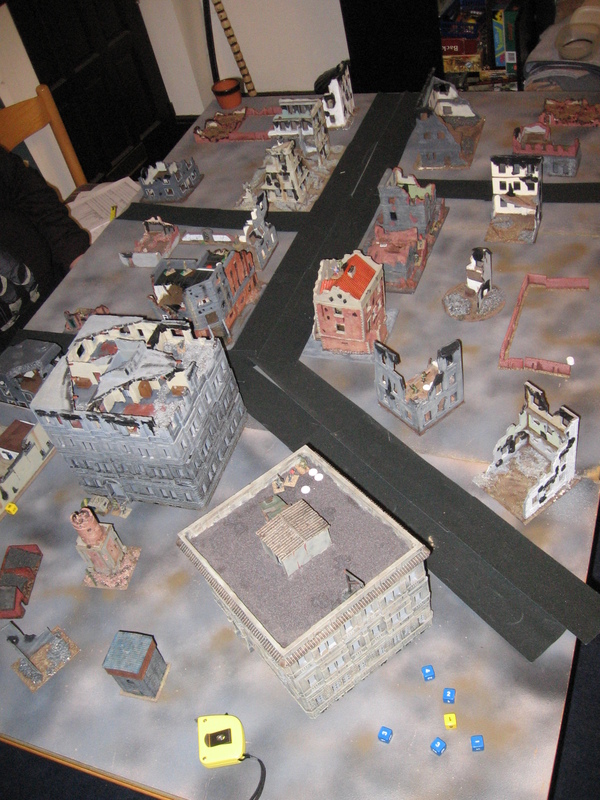 As the real life battle was so one sided I ran the game as a co-op: three Chechen players (Brian, Chris and Evan) whilst I ran the game (basically consisting of shovelling Russian units up the table to their doom). The rules used were NUTS! 2, with the insight test from CR3.0 bolted on. 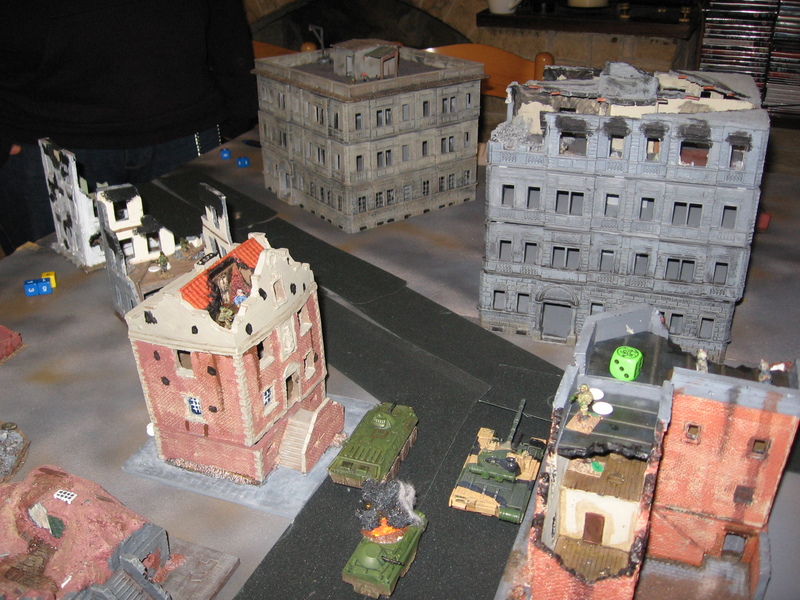 To speed play we did our groups usual trick of just rolling reaction tests against the group leaders REP.
Situation: The Russia are attacking our city with a large ill advised armoured push. Inshallah our ambush teams will defeat them. Sadly RPG rounds are limited so have been rationed until it is certain this is the main push by the invaders. Victory Conditions: Kill as many Russians as possible, destroy as many Russian vehicles as possible. 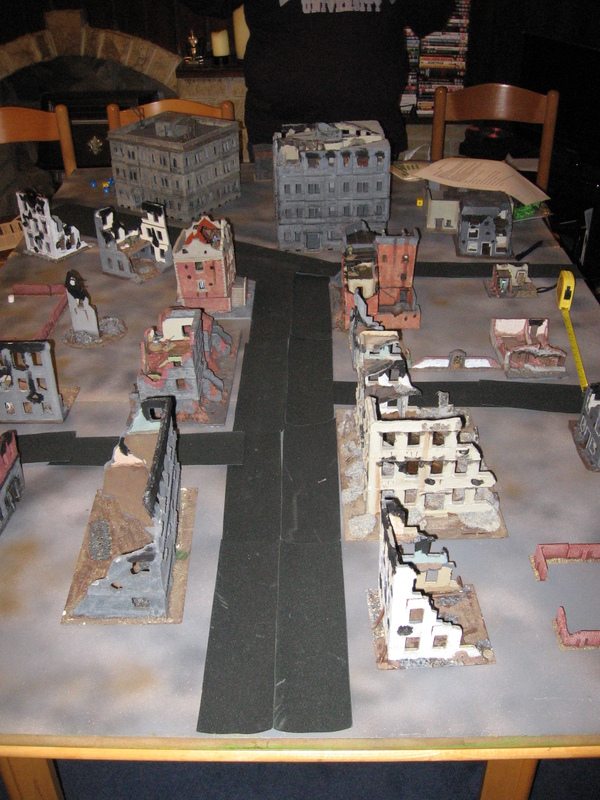 Initial deployment: Set up your team as you see fit up to 4′ away from your board edge. The resupply Jeep must be positioned with the consent of all players, it contains unlimited reloads. Special Rules: All men carry 2 fragmentation grenade each. When re arming with RPG warhead 1 man can carry 4. Roll a D6 at the start of the game on a 5-6 you have 2 improved RPG warheads. Roll a D6 per man: 1- REP3, 2-5- REP4, 6- REP5. 1 Gunner with PKM. Fires as MG34, no loader needed. 1 Gunner with RPK. Fires as BAR, no loader needed. Gunner with RPG7, 3 warheads. Gunner with SVD, figure regardless of REP has marksman attribute. As mentioned in the briefing there was a GAZ jeep full of reloads for the RPGs. If they ran out of warheads they had to think about their own resupply. I added this in to give the players something else to think about in what would have otherwise been a mainly static defensive game. Umpire notes for Battle of Grozny. Game uses pre loaded PEFs. 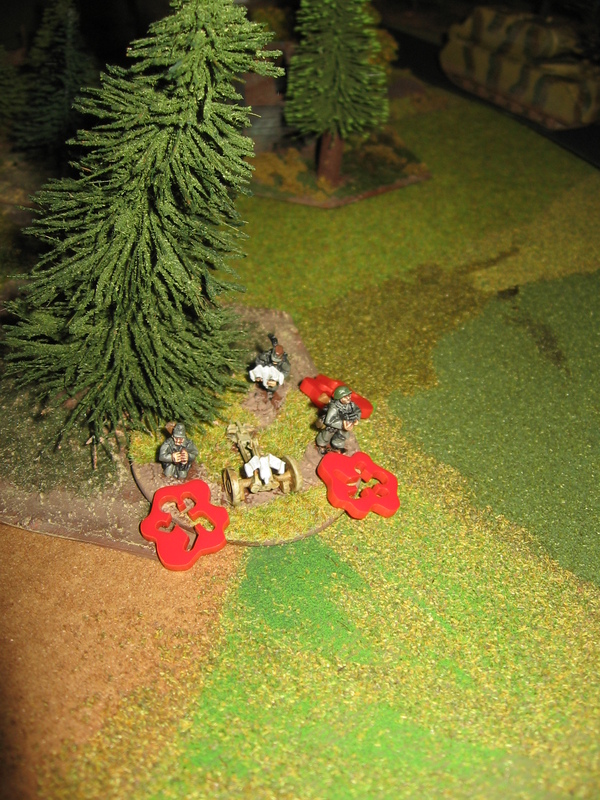 Three enter the table on turn 1, on subsequent turns roll a D6- 1-4 1 extra PEF, 5-6 2 extra PEFs. 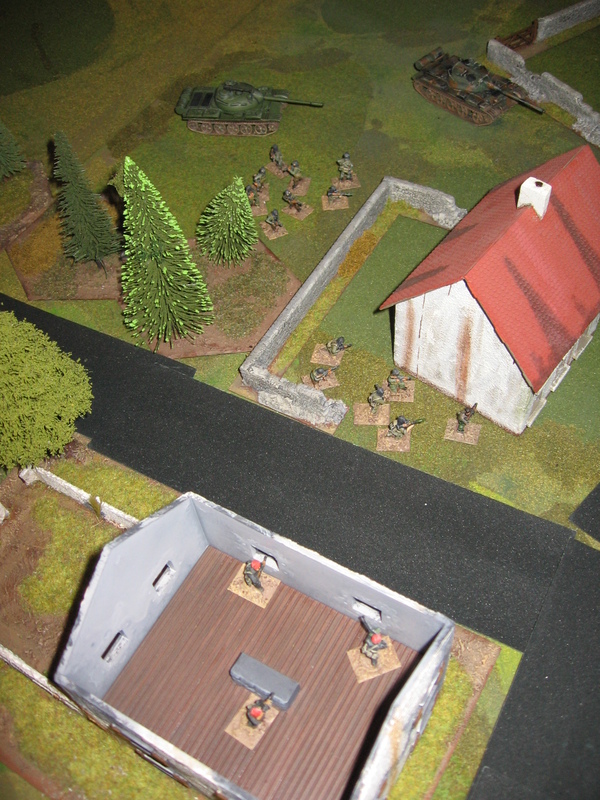 The Russians will advance down the street firing on targets as they see them. 1-4 REP 3, 5-6 REP 4. For APCs/IFVs roll a D6 on 1-4 squad carried internally, 5-6 squad is on foot next to vehicle. Tanks and BMP1 cannot fire at targets higher than second floor. Full destroyed units can be recycled back into the pot. The list of vehicles isn’t meant to be particularly historically accurate but rather to get as many differing types of AFV on the table for play test purposes. Each different PEF was recycled through the game until I had exhausted that particular type of model from my collection. Coming next Part 2- Pictures from the game. 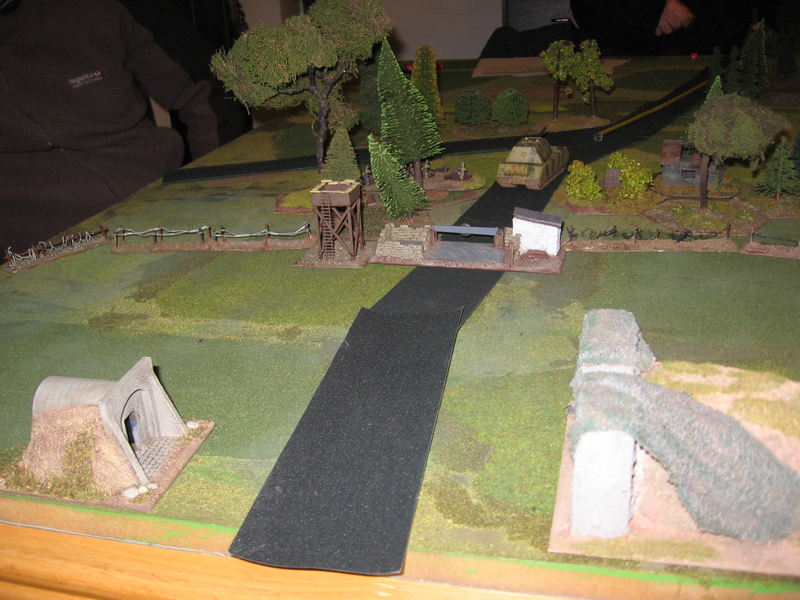 Road to Peenemünde – AAR. A week ago Monday the usual gang (Evan, Chris, Brian and myself) got together to play another NUTS! game. I chose the ‘Road to Peenemünde’ game from the War Without End supplement as I wanted to get a handle on the ATGM rules, the game features an X7, as I was working on my modern vehicle stats at the time. Also I’ve got a fair bit of 1946 style what if? kit that hadn’t had an outing in ages. I won’t list the full briefing as it is in the book but basically it was a squad of Germans plus an X7 ATGM with a Maus against a platoon of Soviet infantry, a platoon of T34/85s, a single BA64 and an IS2. My interpretation of the table- as seen from the German end. Table size was the usual 6 by 4 foot. 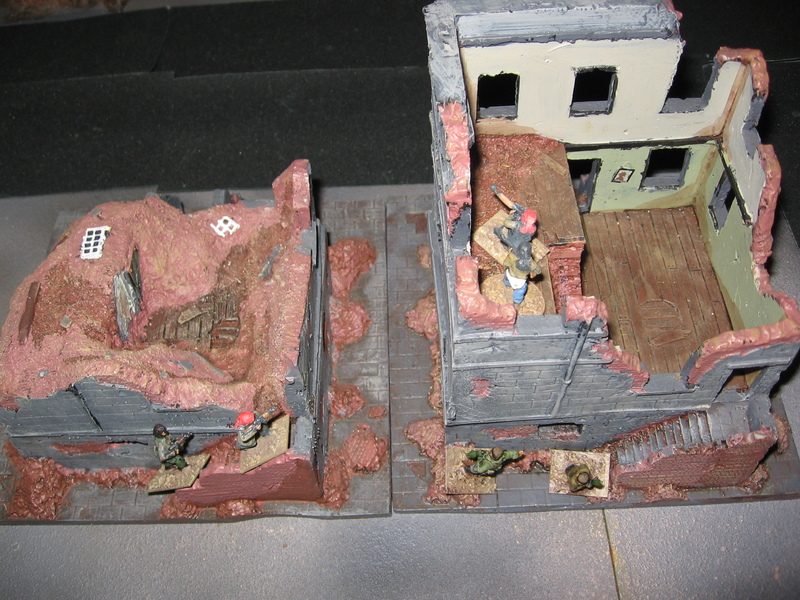 The House is by Hovels, Watch tower is a Fujimi plastic, Checkpoint by Grand Manner, One bunker was scratch built and the smaller on is a SOGGY special. The Maus is a Dragon kit. 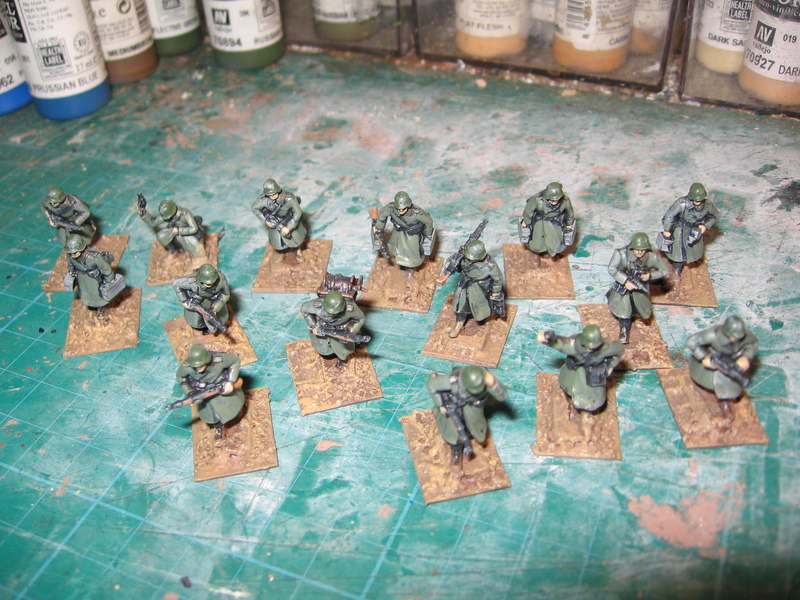 The German infantry figures are from the TDQ range of alternate WW2 figures. The helmet they are wearing is more or less the same model that was adopted by the East German’s NVA after the war. It was issued in small number to Volksturm units in 1945. Looks like I need to tidy up the edge of that base too. 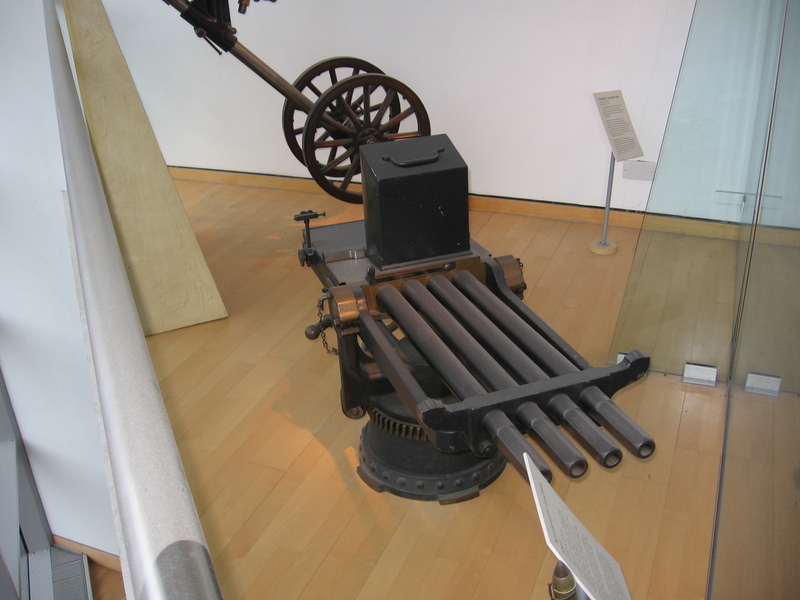 The world’s first ATGM- the X7. The X7 missle, carriage and crew all come from FAA. 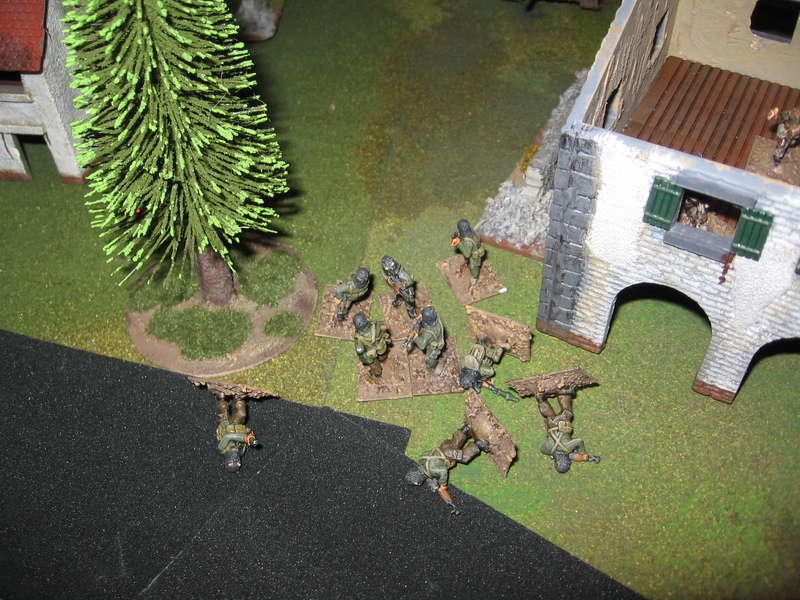 A half team of the infantry deploy in the woods. 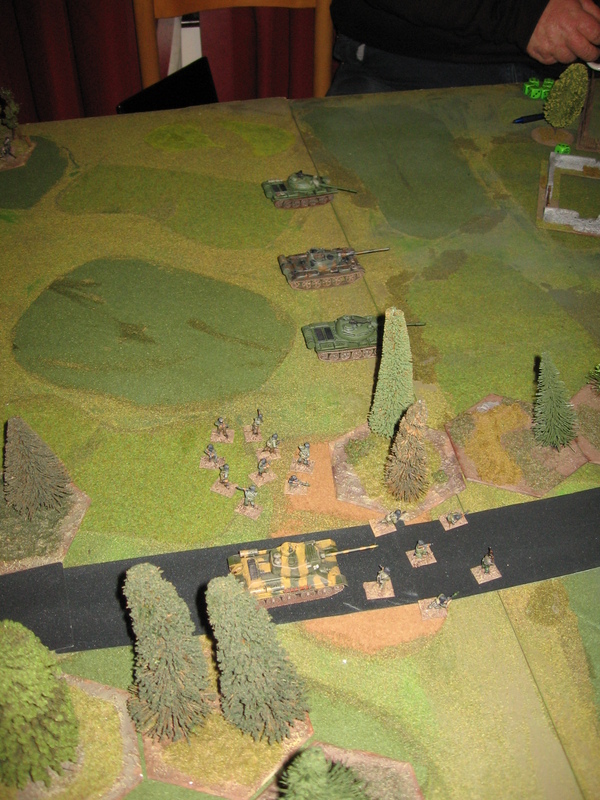 The game started with Chris’ Soviet infantry advancing up their left flank making best use of the cover available and trying to avoid the line of fire of the 2 MG42s. Soviet infantry using a house to block MG fire. 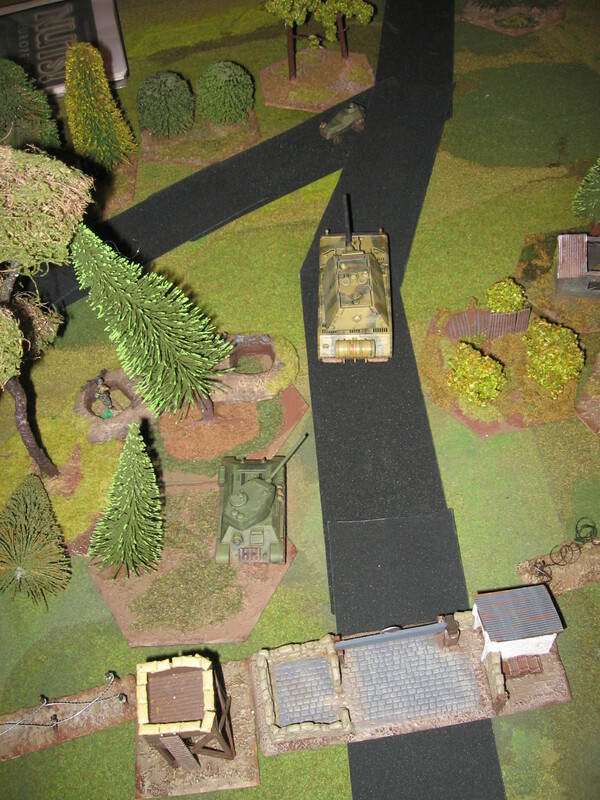 Meanwhile the armour moved across the more open right flank using speed to try and close the range (not that the Maus was vulnerable from the front but Brian was hoping for flank or rear shot. Pic showing off the 2 bunkers. Flying up the road it goes…. 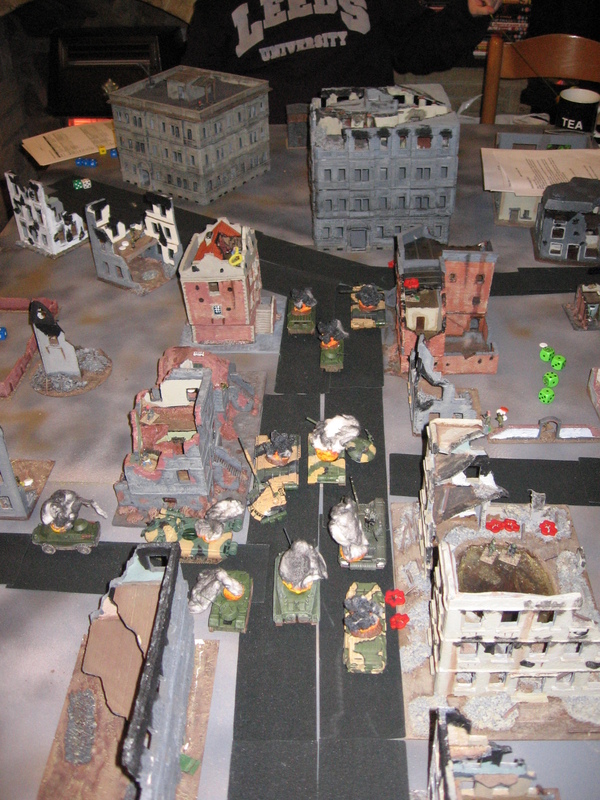 The game basically came down to whether Evan and I could take out the Soviet tanks before they could get on top of us. Given their speed and small table we both had to make every shot count. Accordingly I let off an X7 missile. Flying toward the T34/85, which spotted the missile and tried some evasive maneuvers. Sadly I missed completely and got High Ex’d in return with predictable results. Accurately placed HE can have deadly effects. 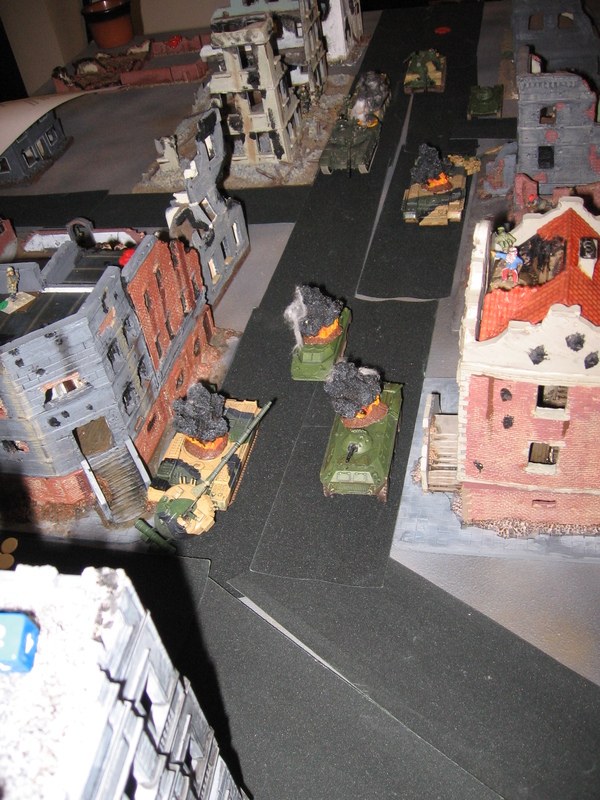 Fortunately the Maus was doing much better, the IS2 was hit (good), but was over penetrated (bad) but then failed to pas a clank test and withdrew off the board (good). 2 more T34/85s fell to the massive 128mm gun but not before they had taken out my infantry to the immediate left of the Maus. Given the activation die didn’t help the Russians, they failed to activate for 2 turns, their remaining T34/85 kept rolling forward. 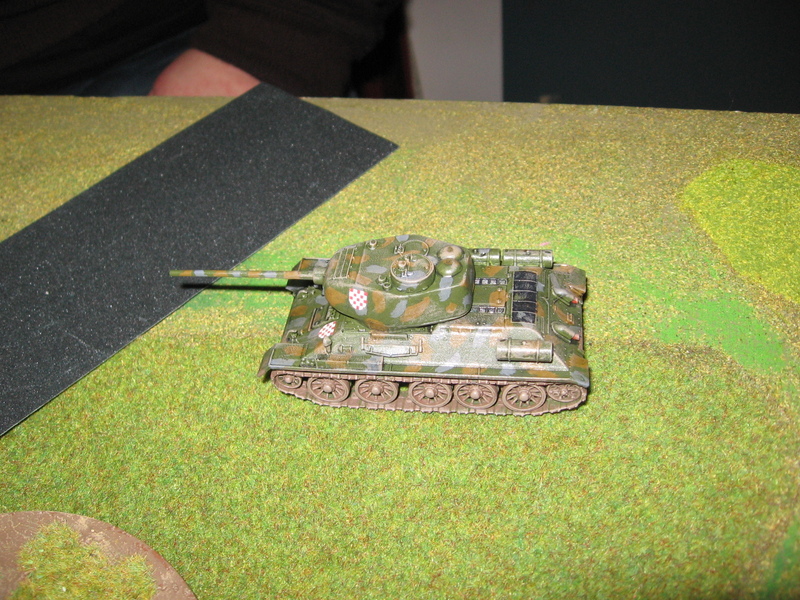 3 tanks down so far, the Maus is doing well. However Evan couldn’t seem to take it out. To make matters worse my Panzerfaust wasn’t in a position to help either. 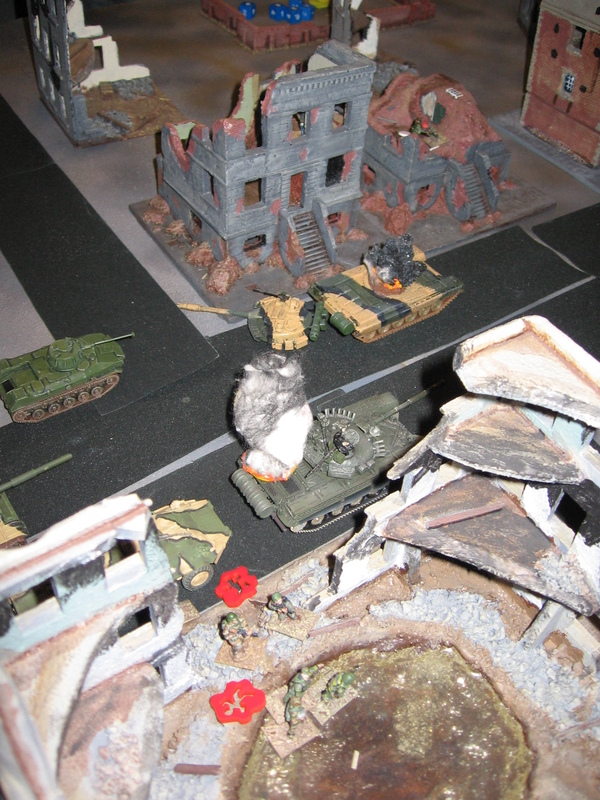 So the T34 trundled on and quickly got to the a position behind the Maus. From this angle the 85mm gun can penetrate the Maus quite easily. One lucky die roll later the game was over. 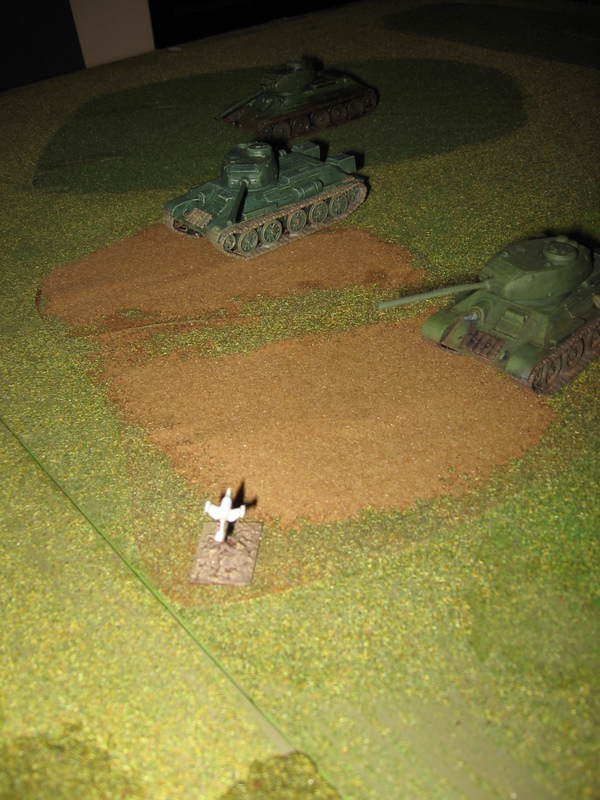 With the Maus destroyed and a platoon of infantry about to over run, Evan and I conceded. 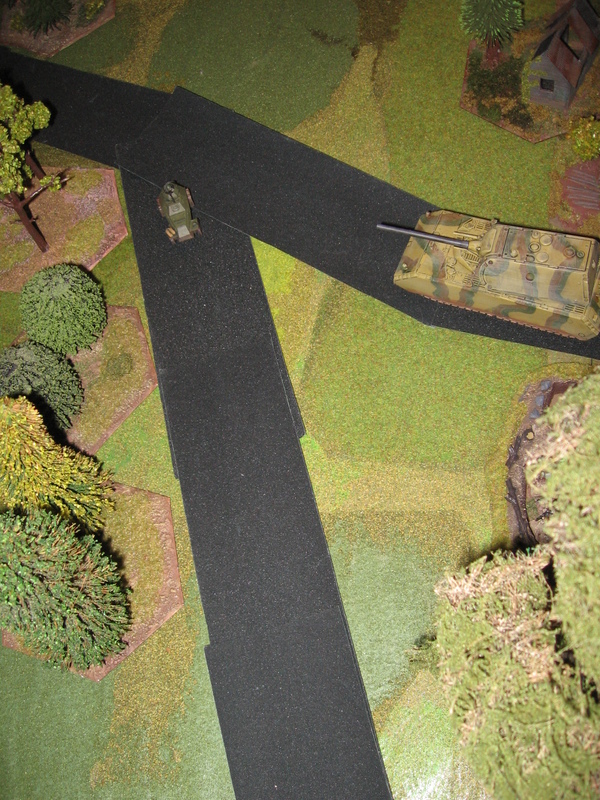 The Maus was too slow to reverse and re position itself to keep the T34 in it’s front arc. I mentioned I’d much rather have 4 Hetzers with a total tonnage of a third of the Maus, rather than the single super heavy. Everyone agreed and it pretty much proved the pointlessness of the design. Unless you have an engagement range only usually found on the steppe or in the desert the power of the 128mm is totally wasted as you can easily be out maneuvered. However the ATGM rules worked well and I’m looking forward to using them in some sort of counter factual WW3 game soon.